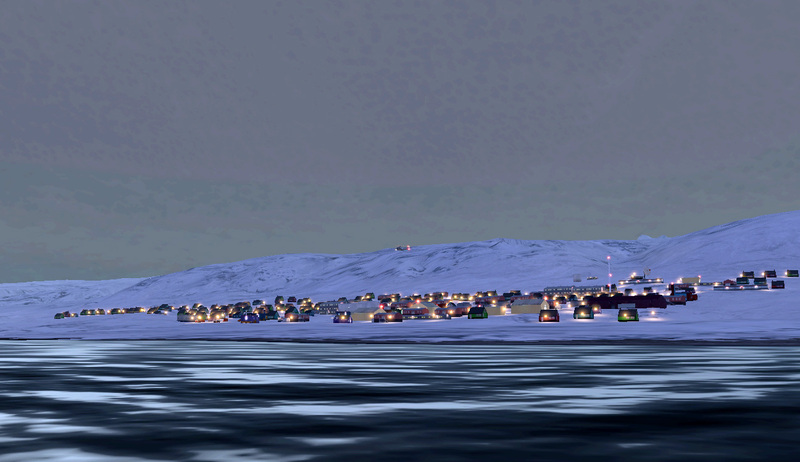 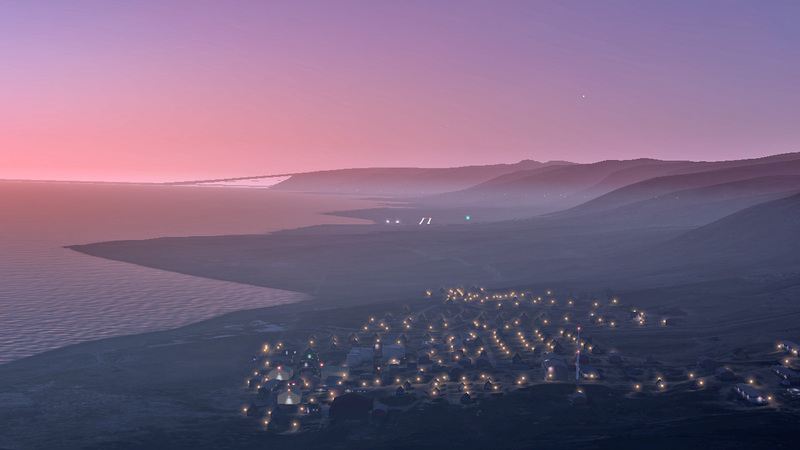 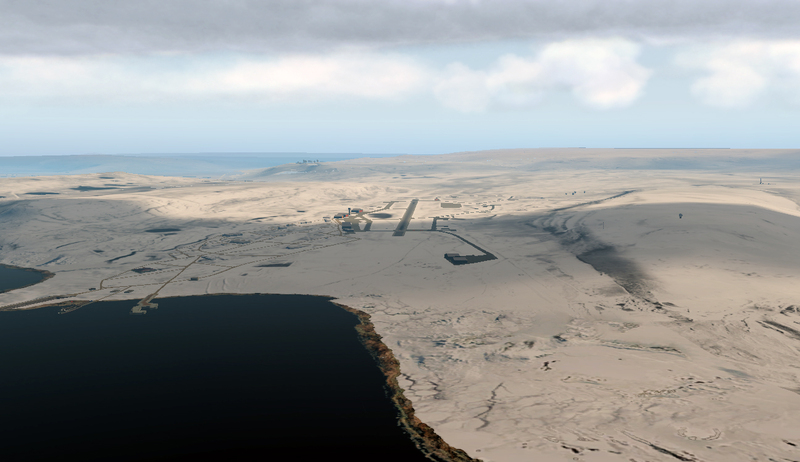 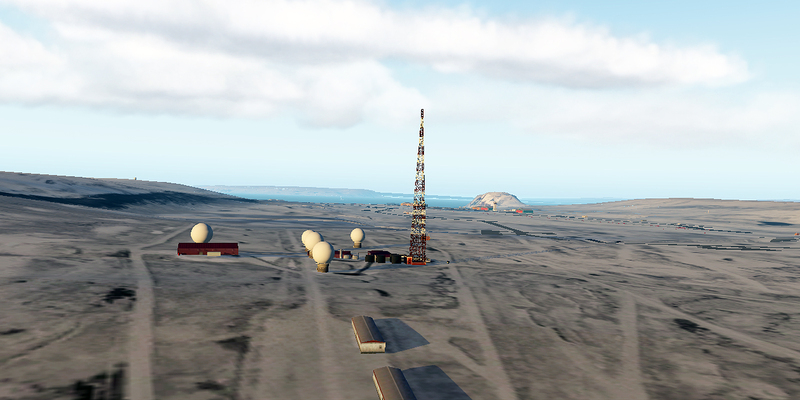 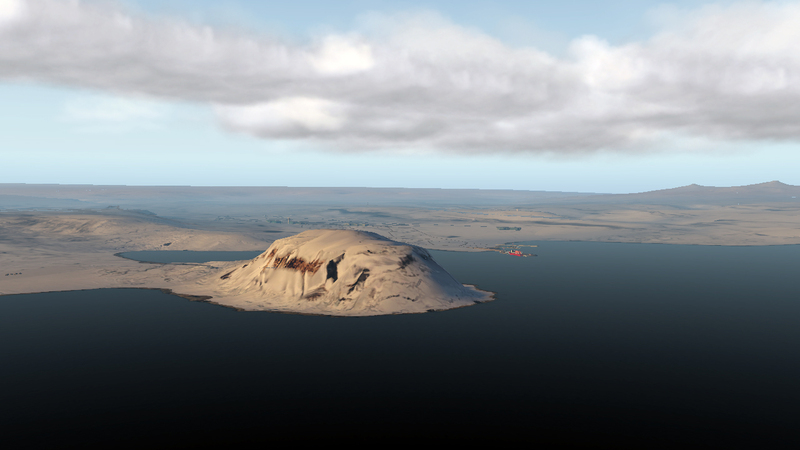 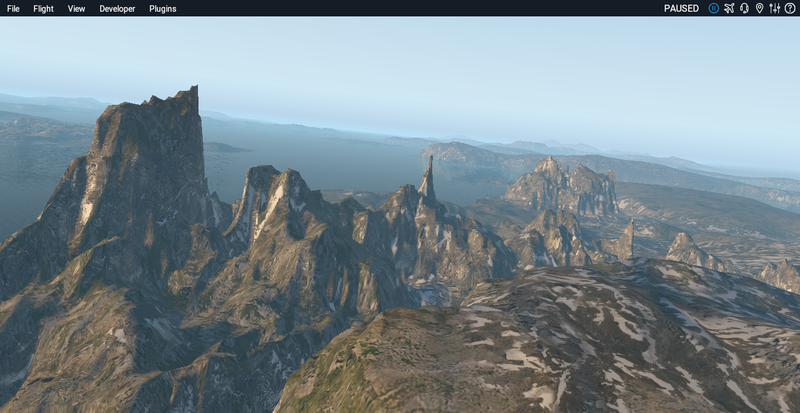 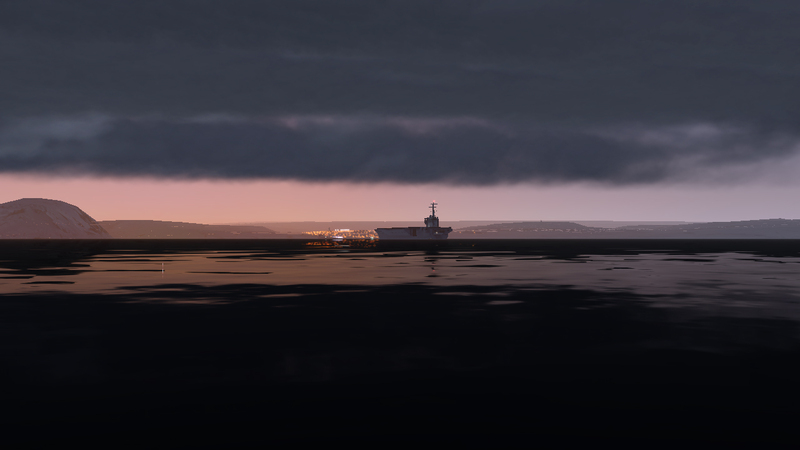 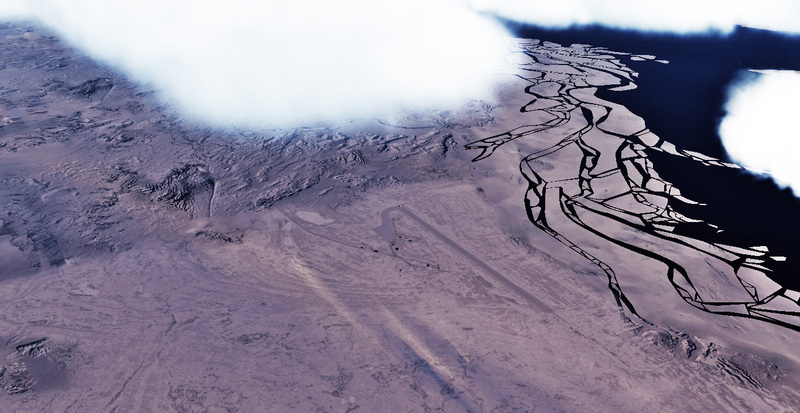 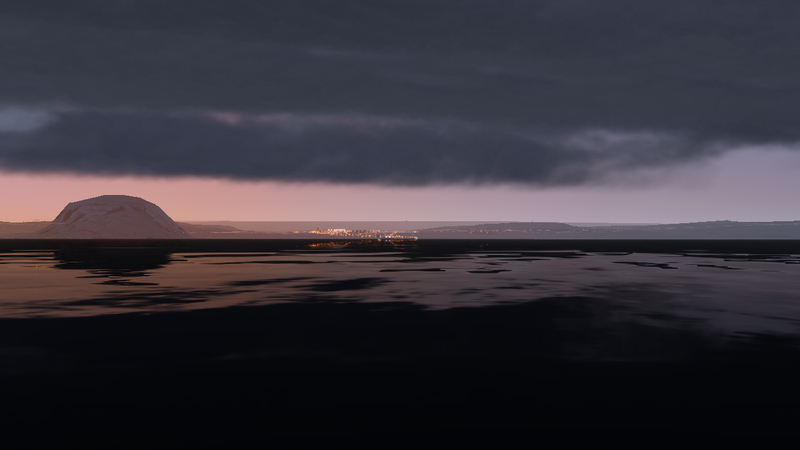 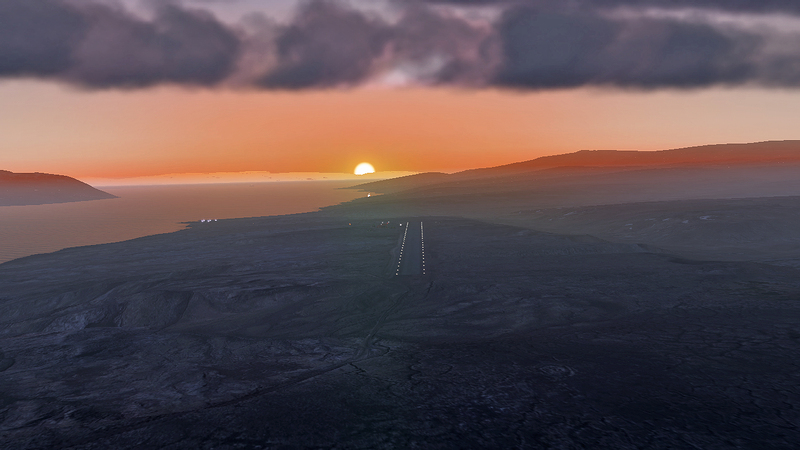 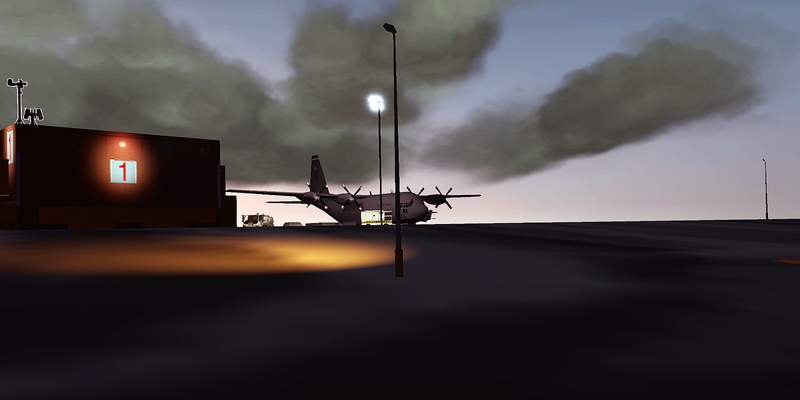 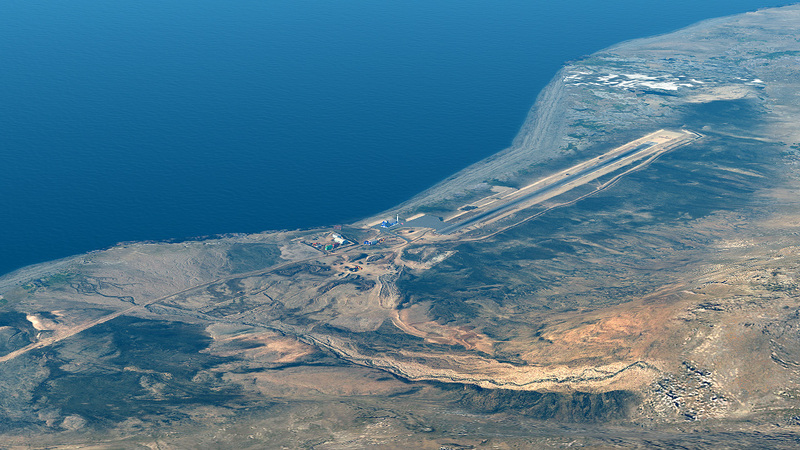 It is well-known that X-Plane's Global Scenery only covers up to the North 73 parallel. 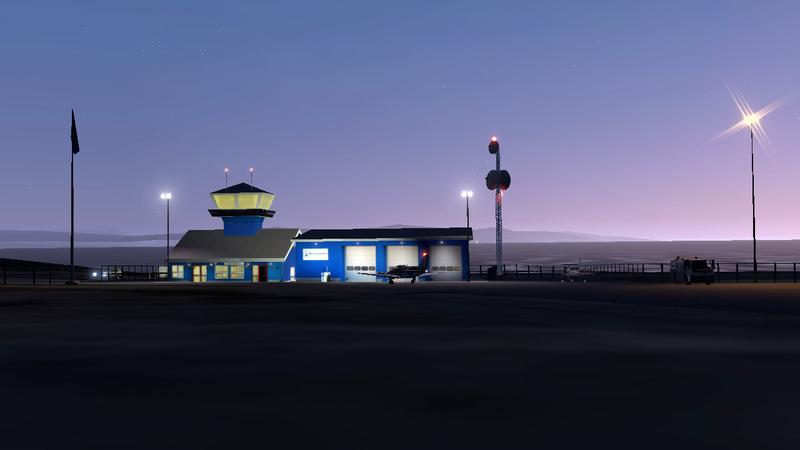 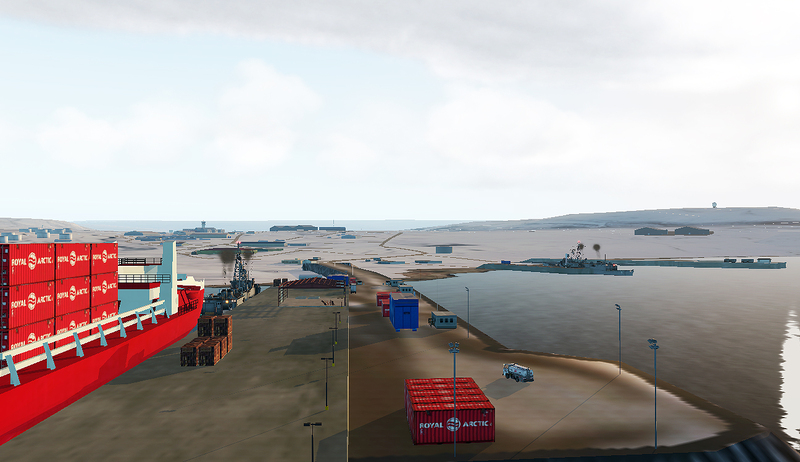 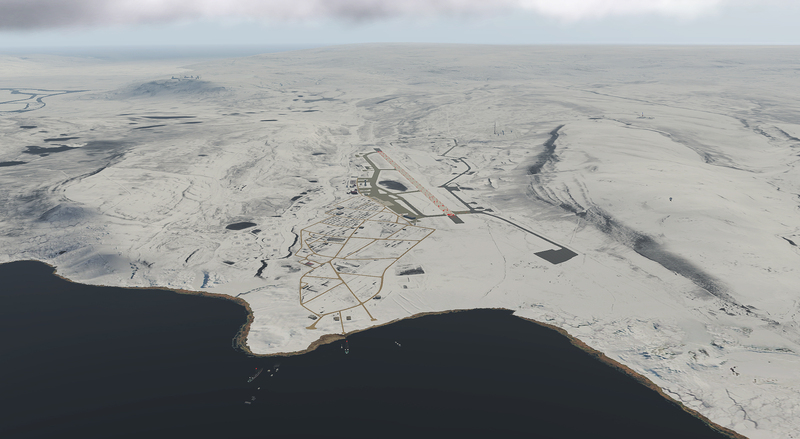 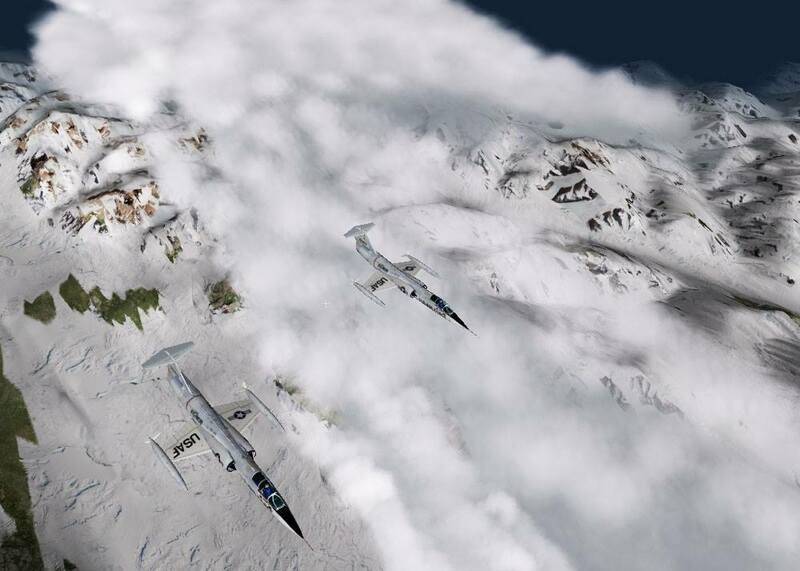 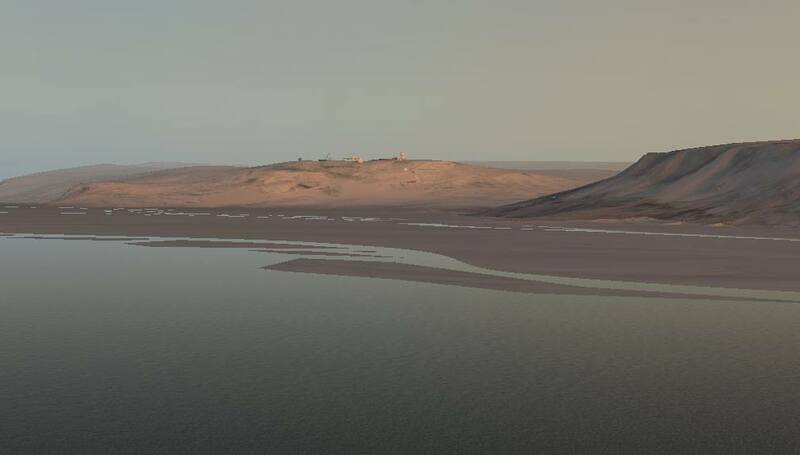 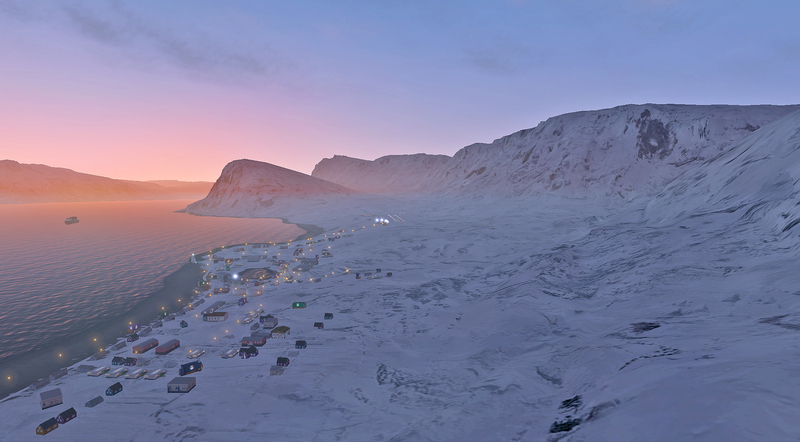 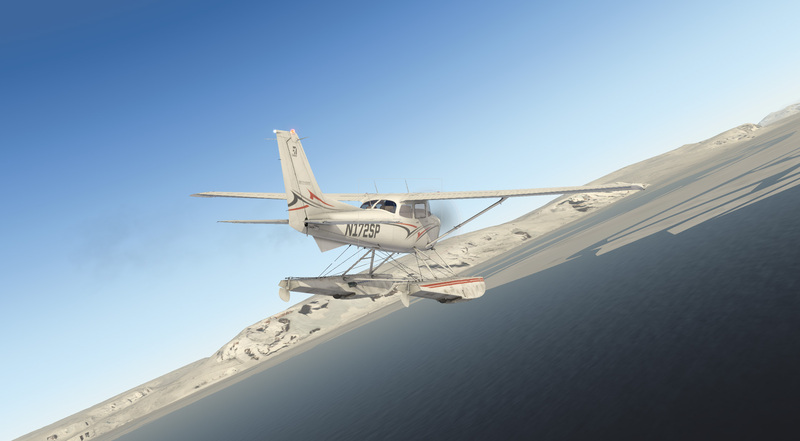 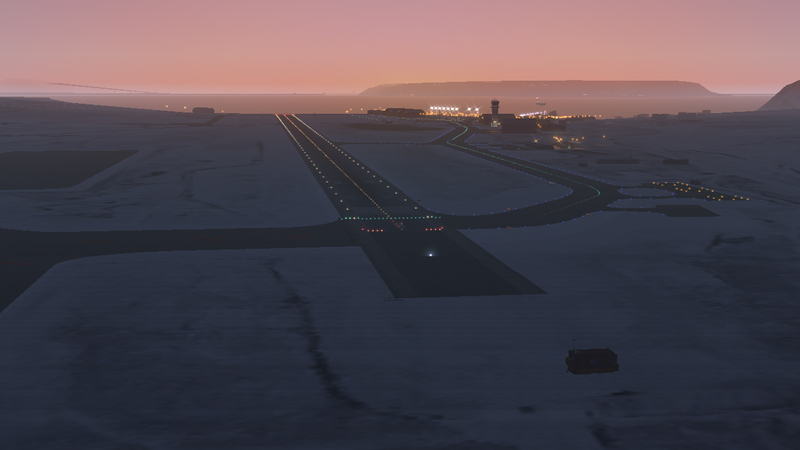 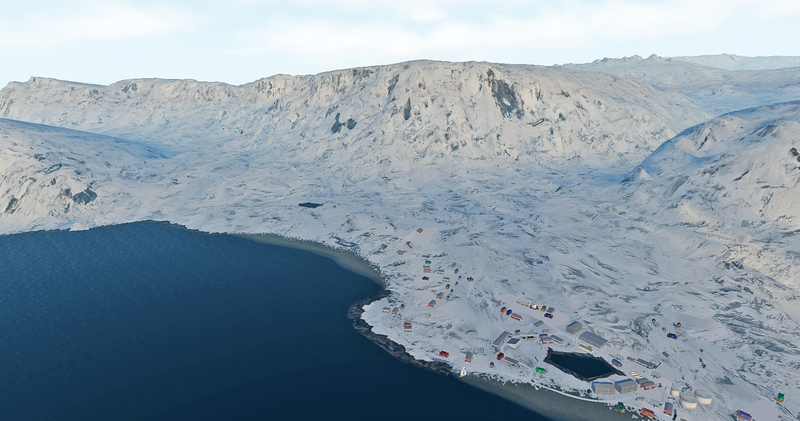 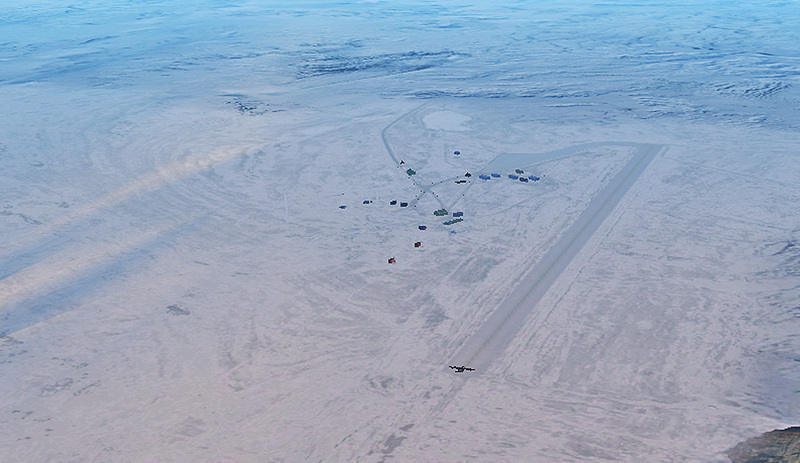 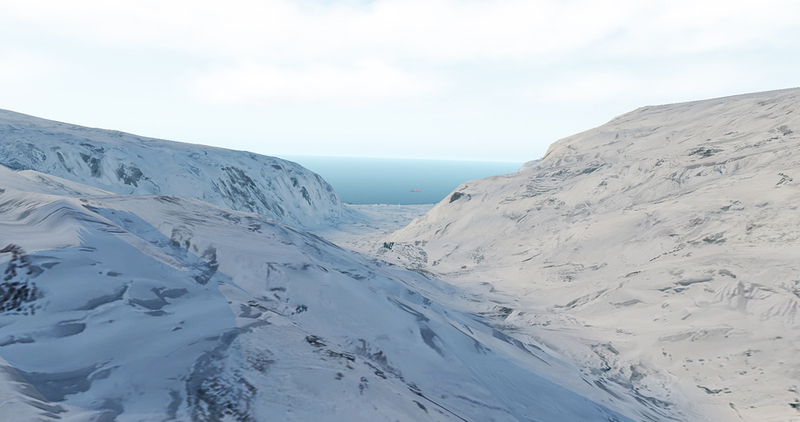 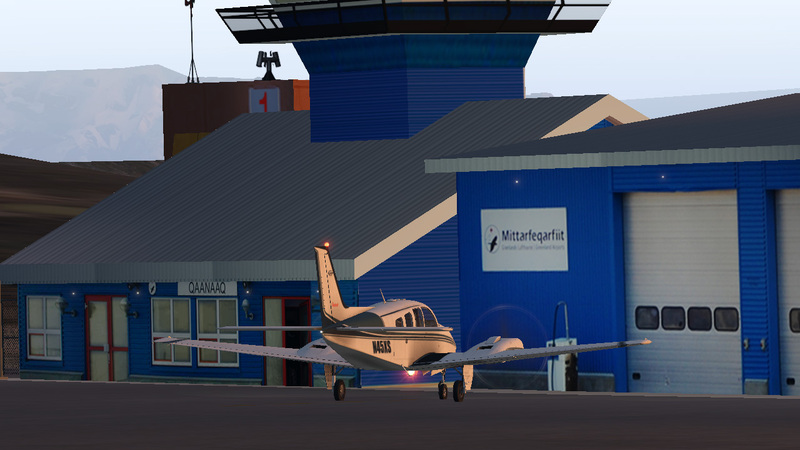 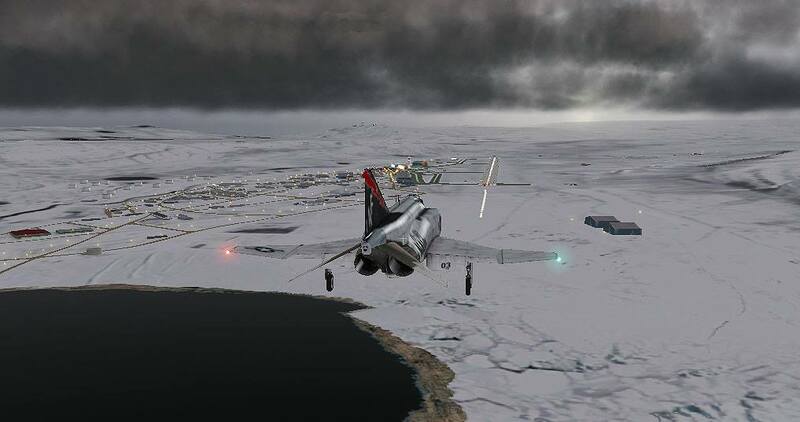 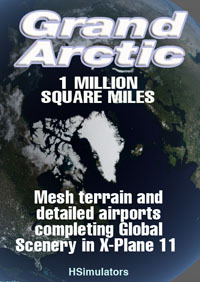 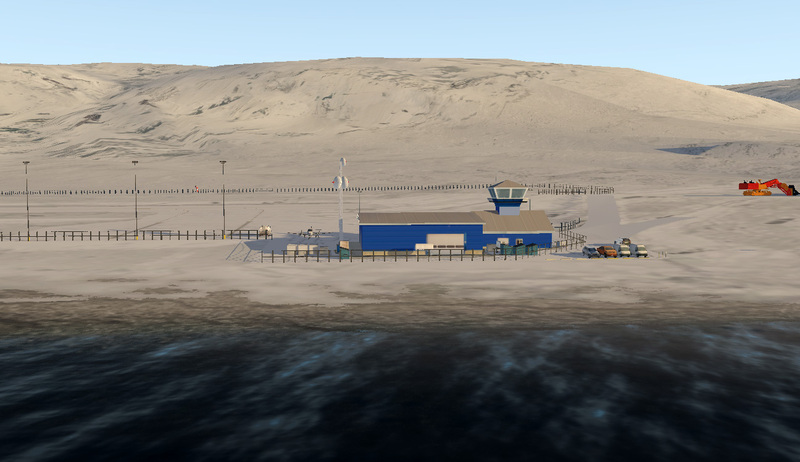 As a owner of the fantastic X-Plane flight simulator, we decided to complete the X-Plane Global Scenery of the Arctic region that involves more than 1 million square miles (2.5 million square kilometers). 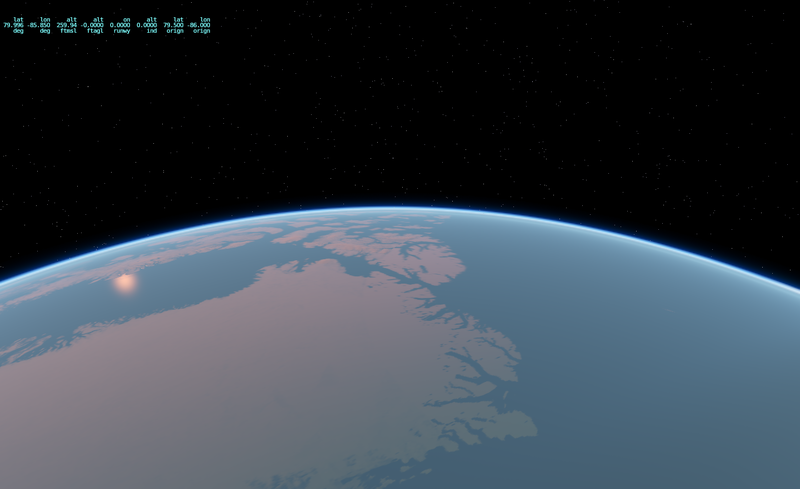 Approximately 1800 x 835 miles (2900x 1350 kilometers). 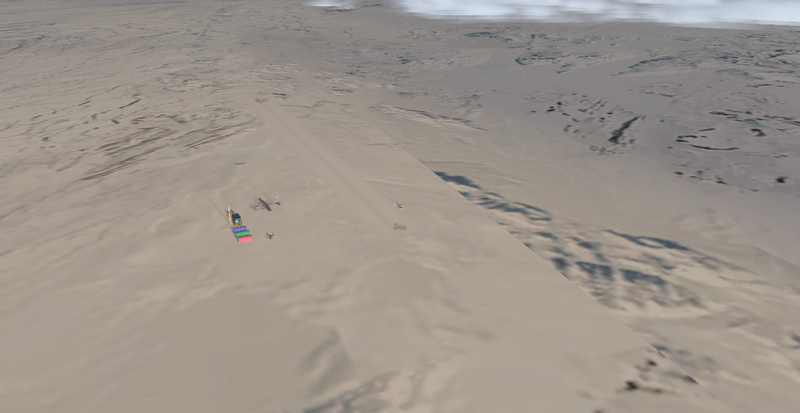 It is an exhaustive work of mathematical modeling of terrain, correcting the countless failures of the original DEM, mainly in the places where the 24 airstrips and heliports are located on the scene. 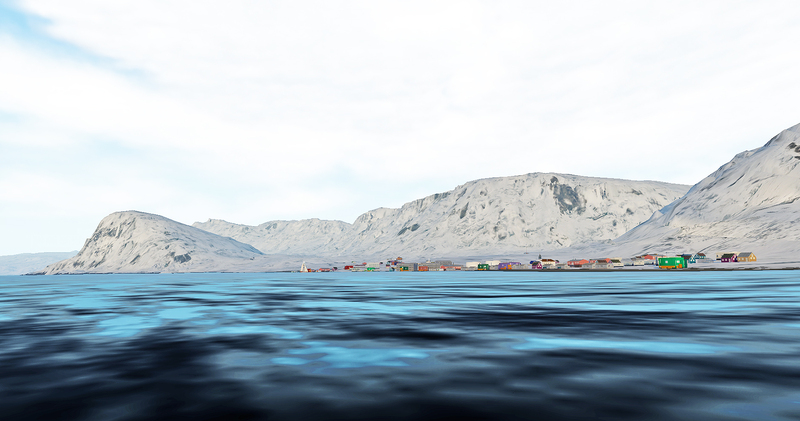 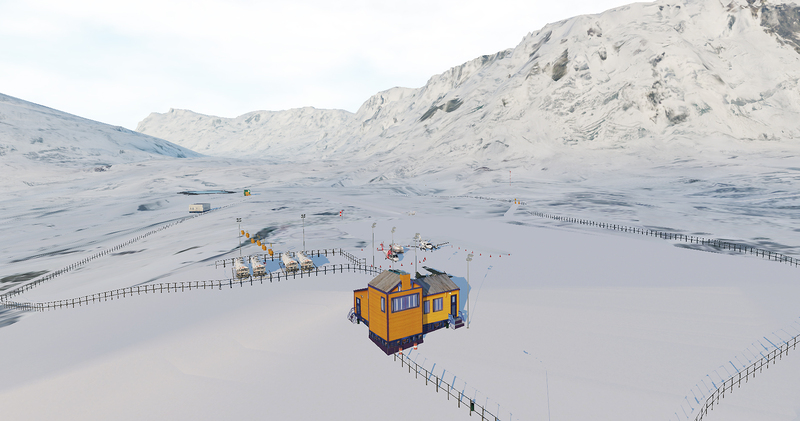 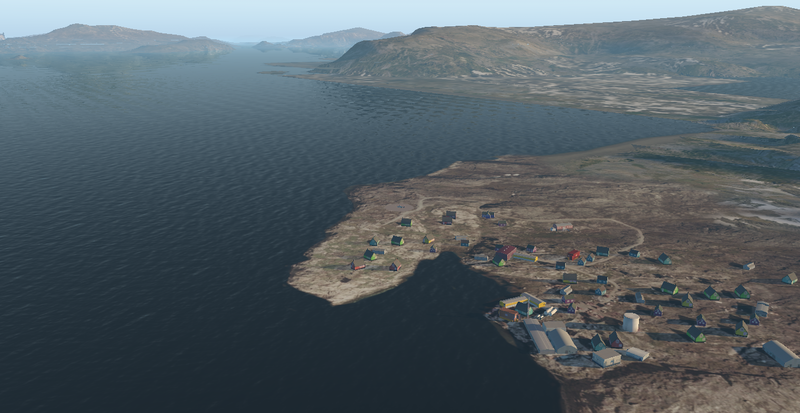 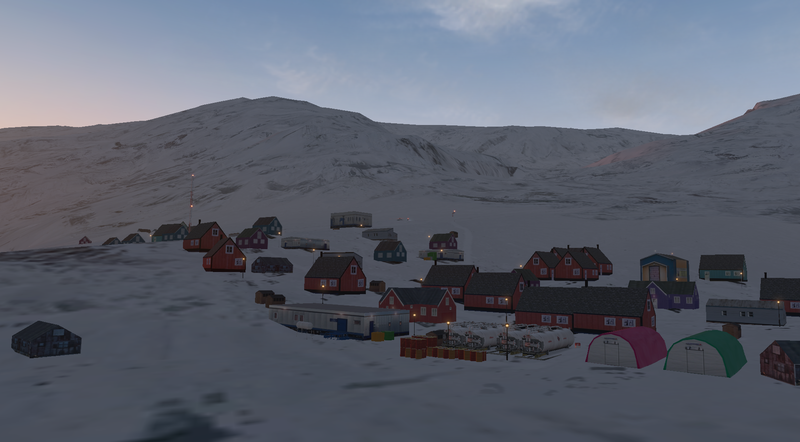 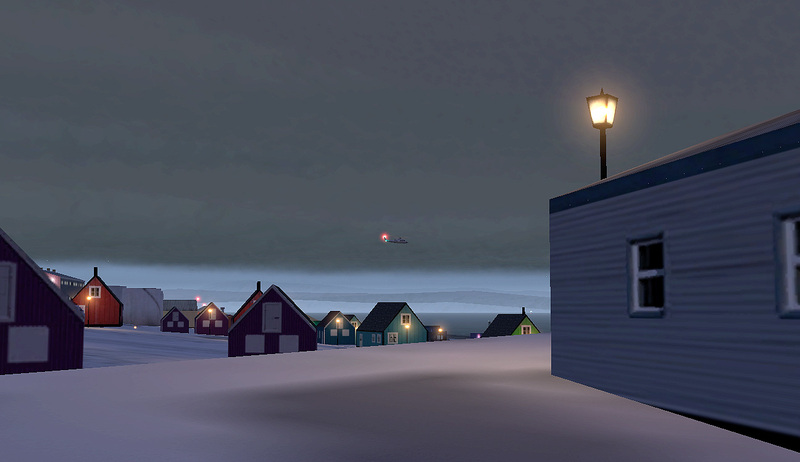 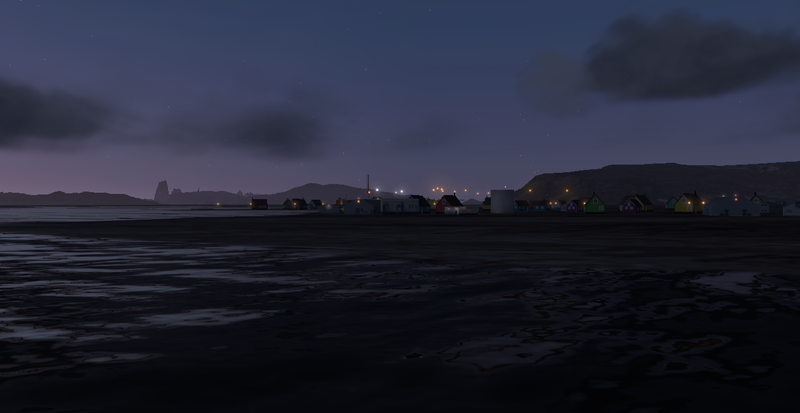 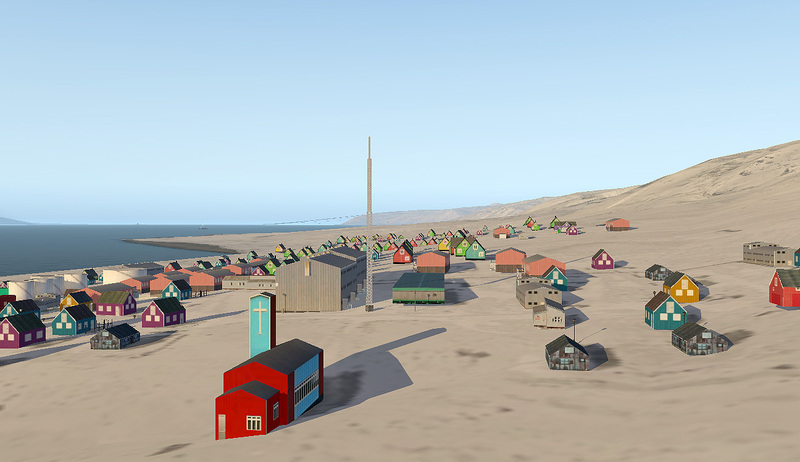 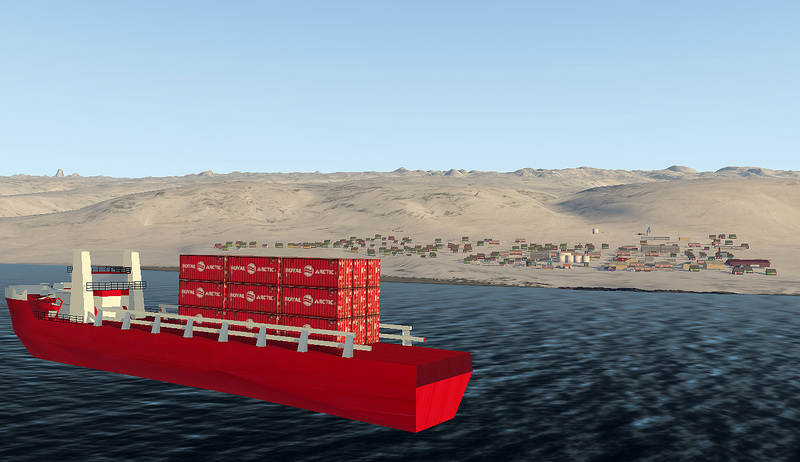 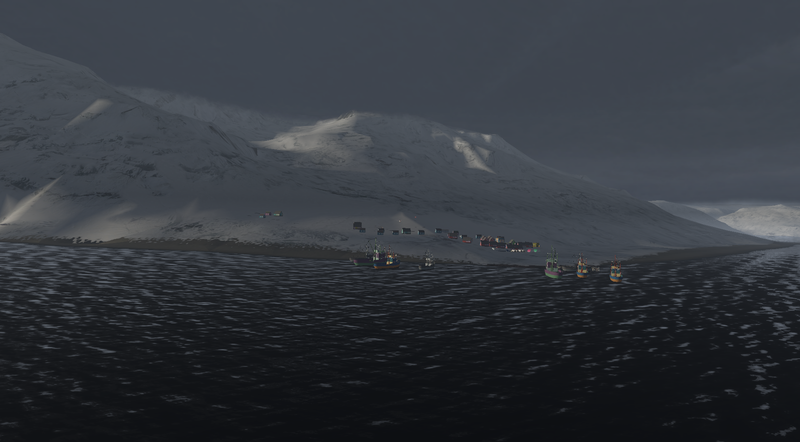 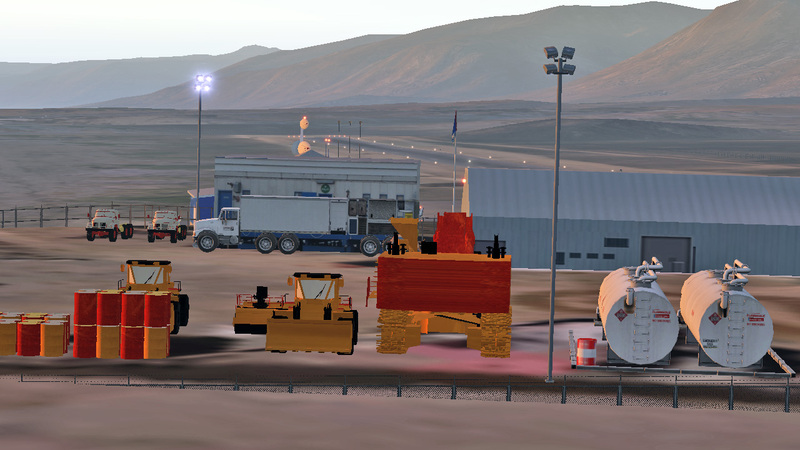 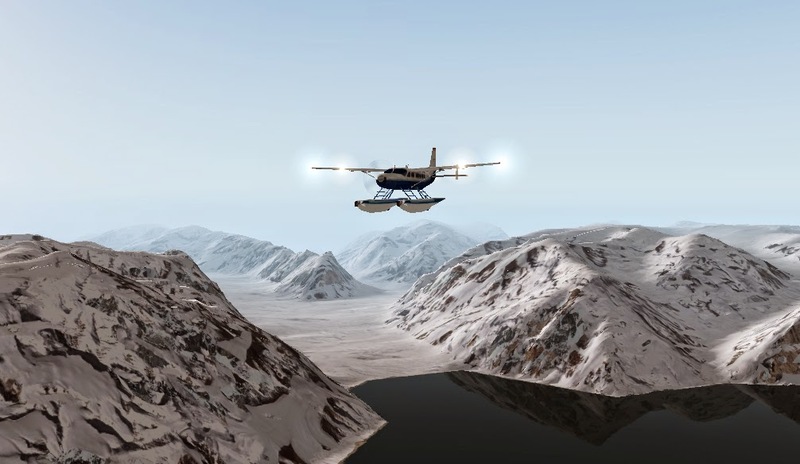 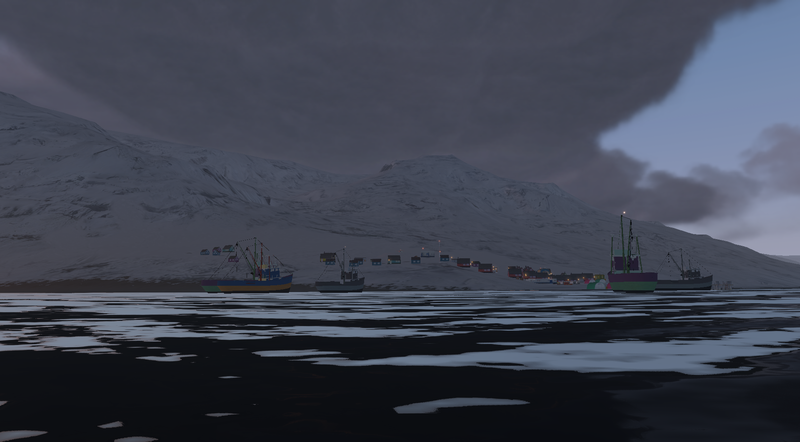 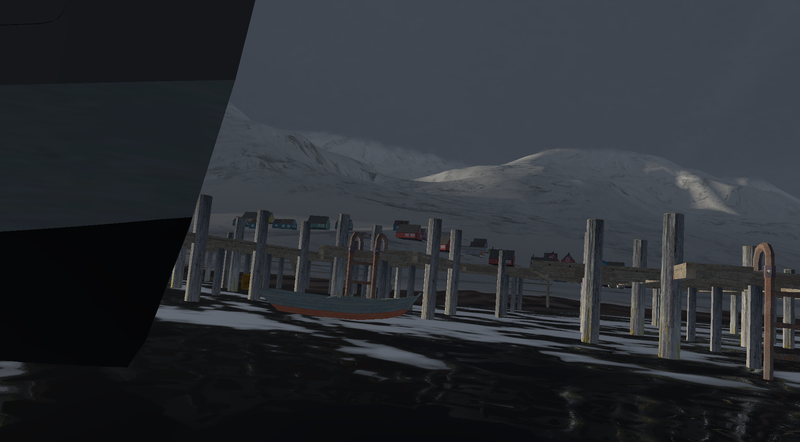 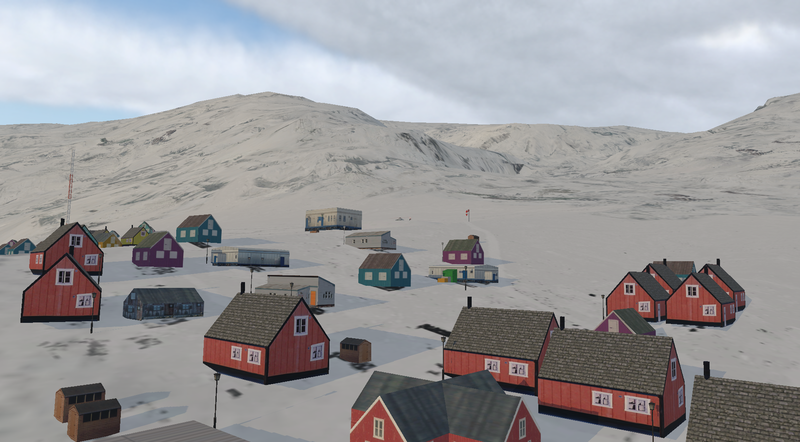 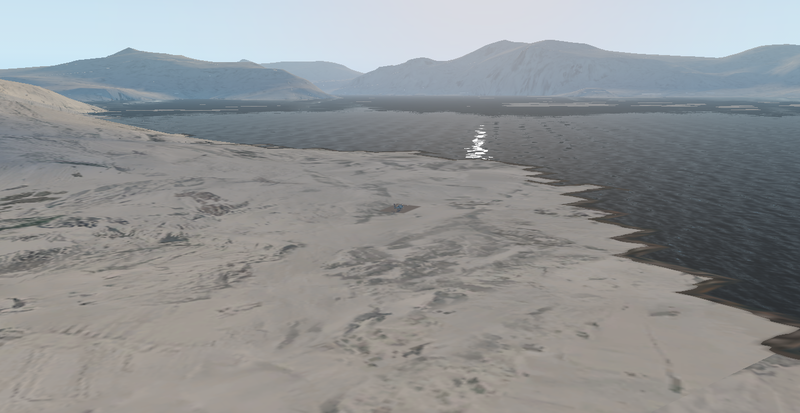 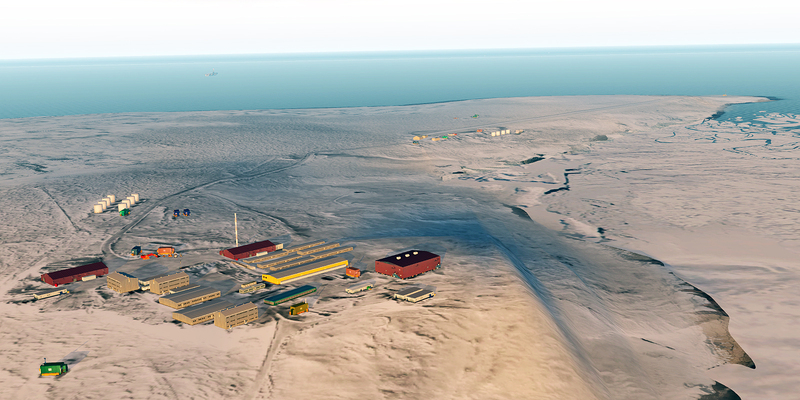 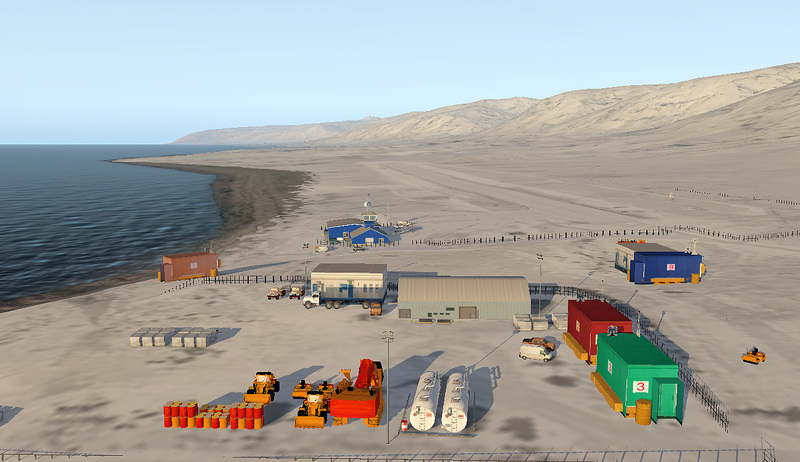 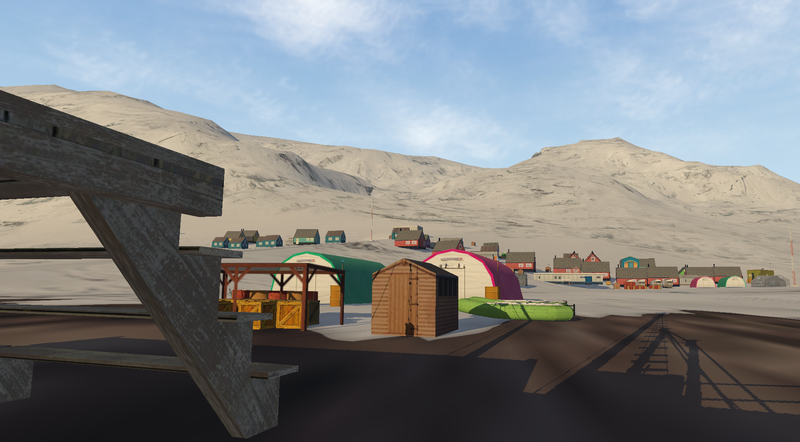 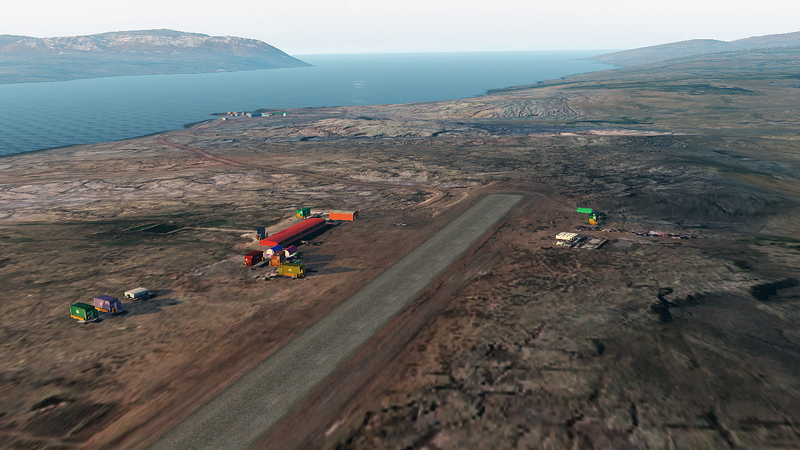 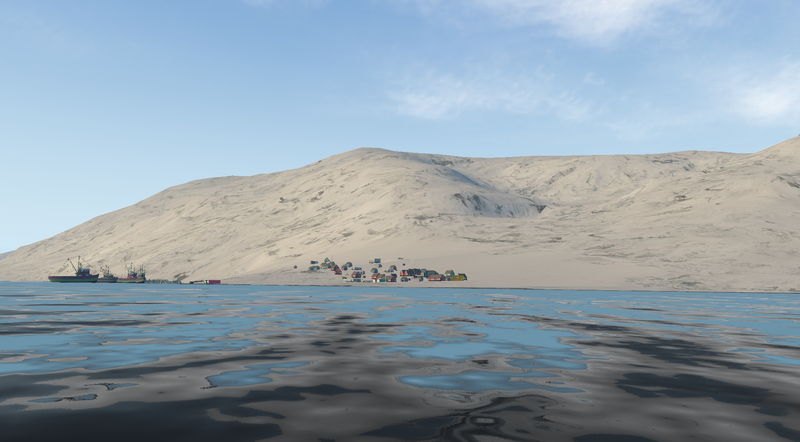 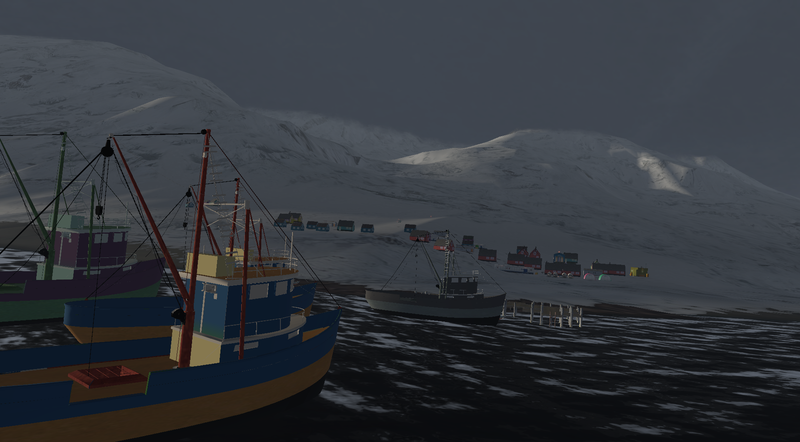 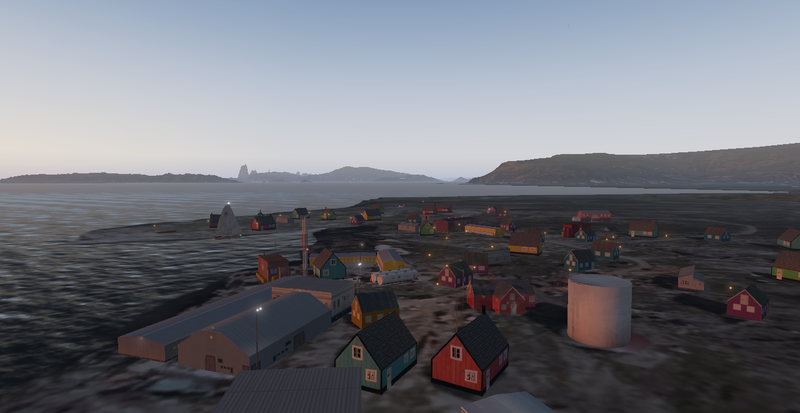 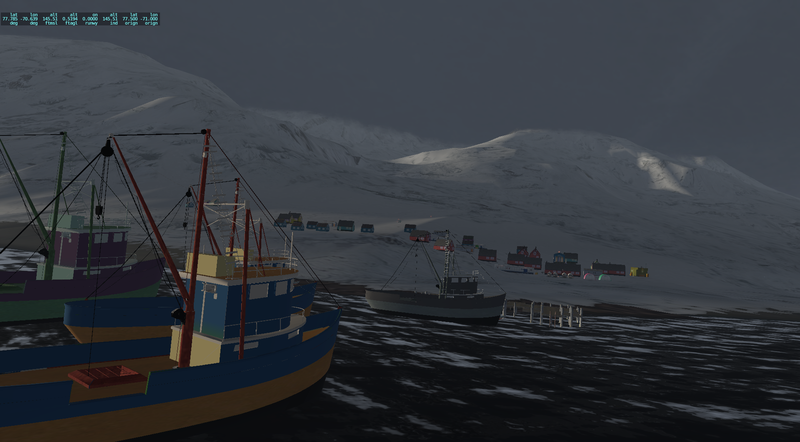 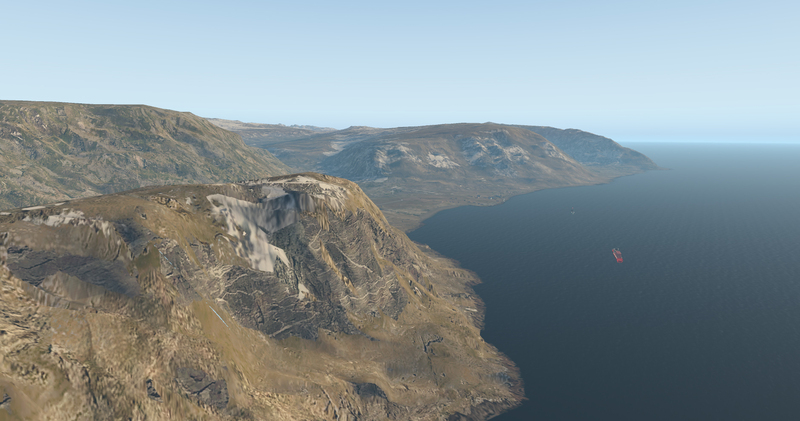 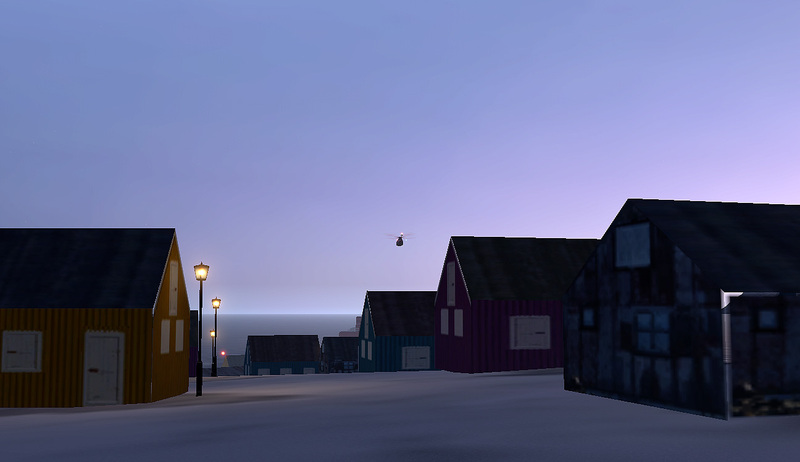 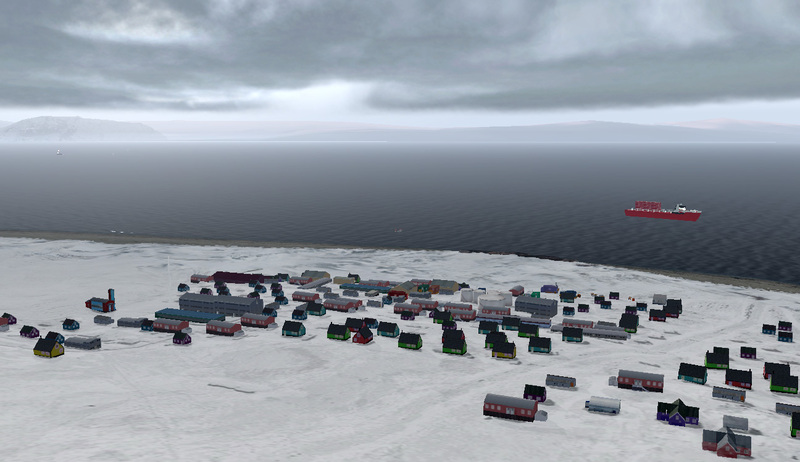 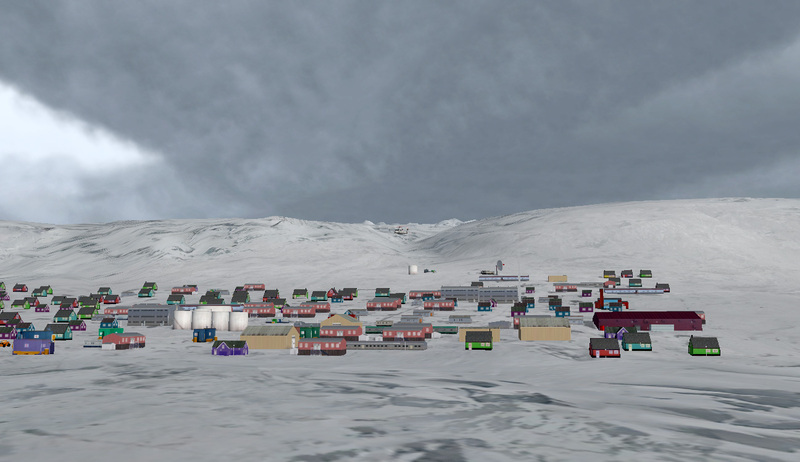 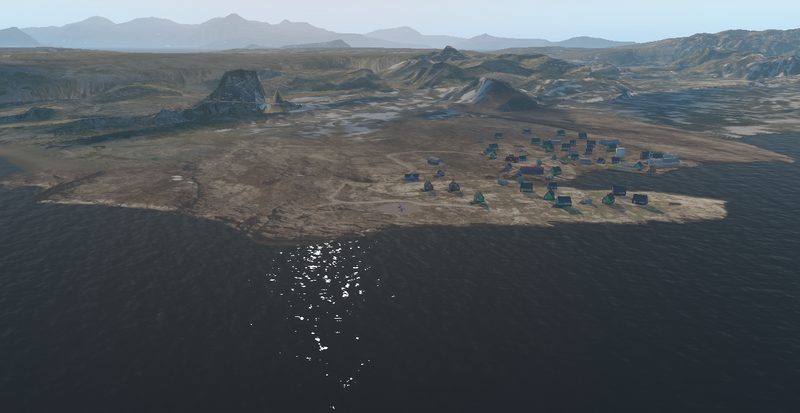 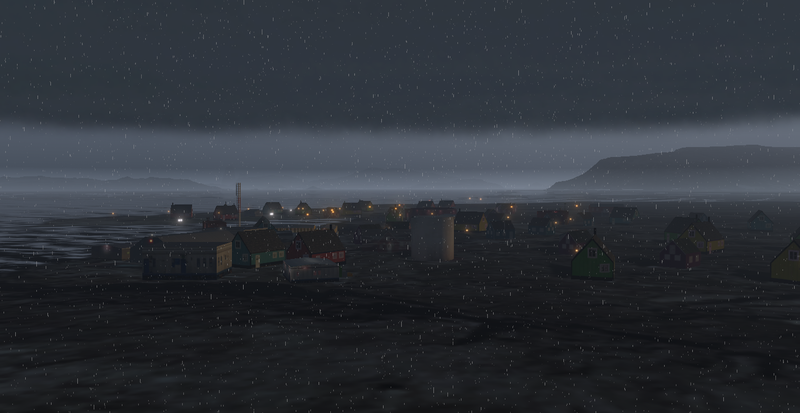 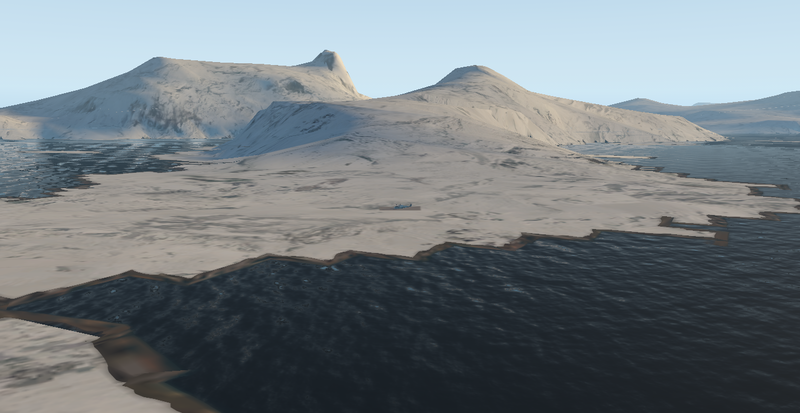 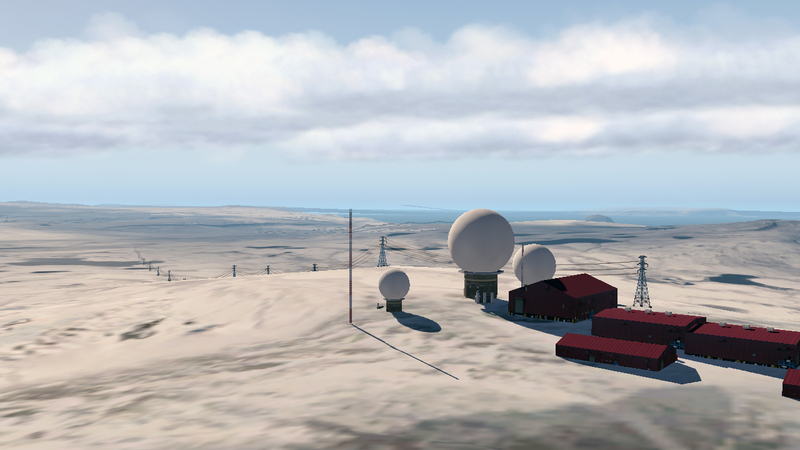 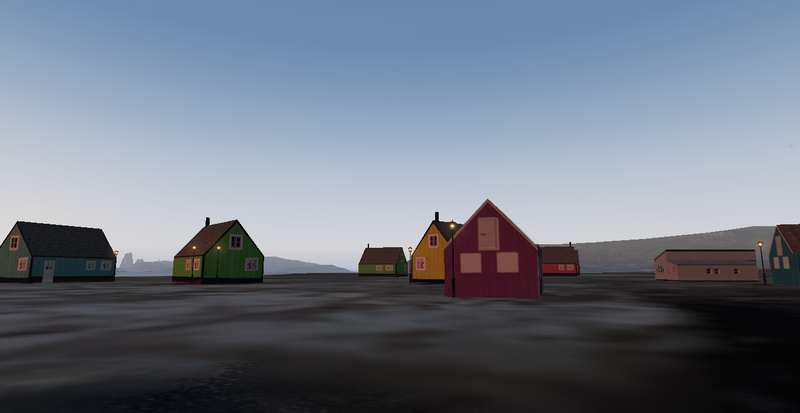 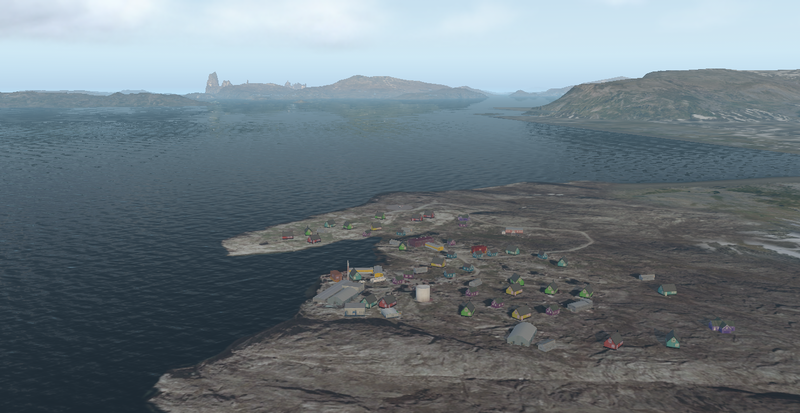 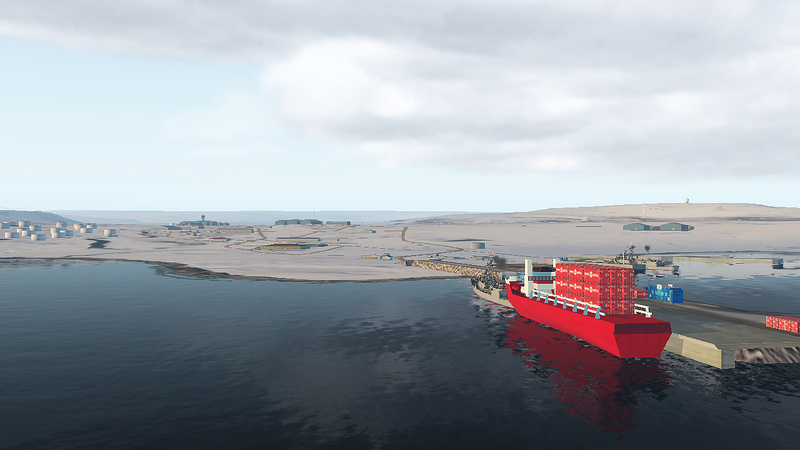 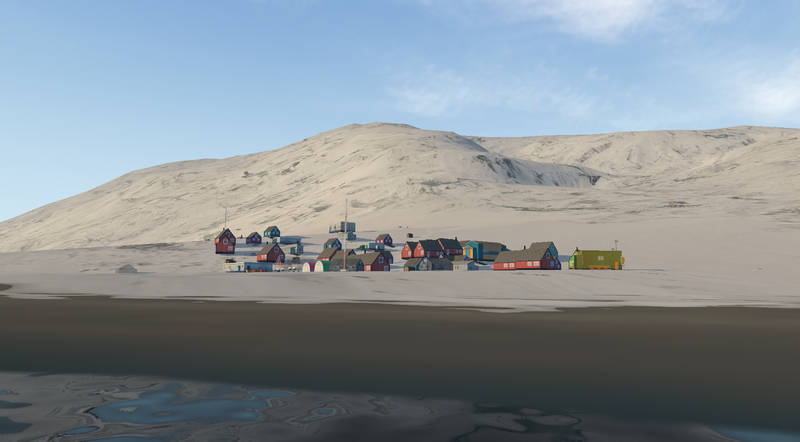 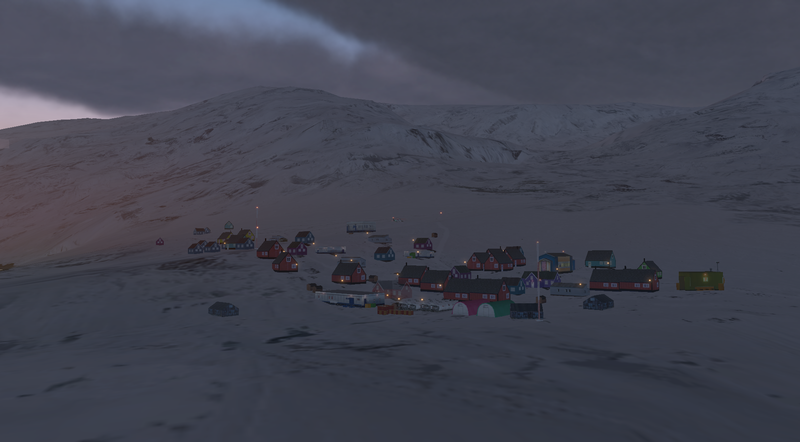 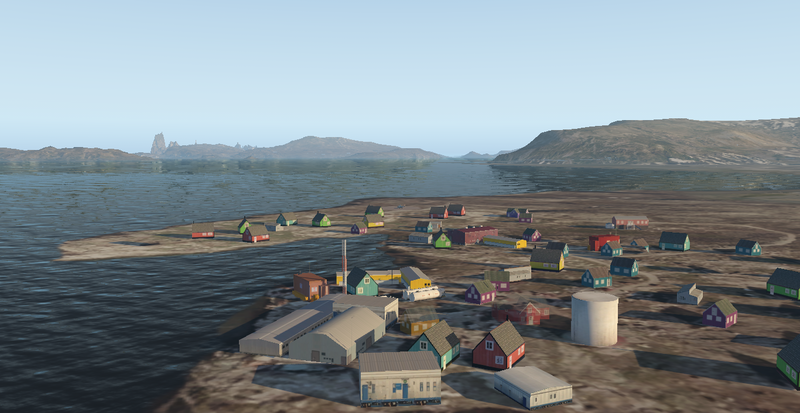 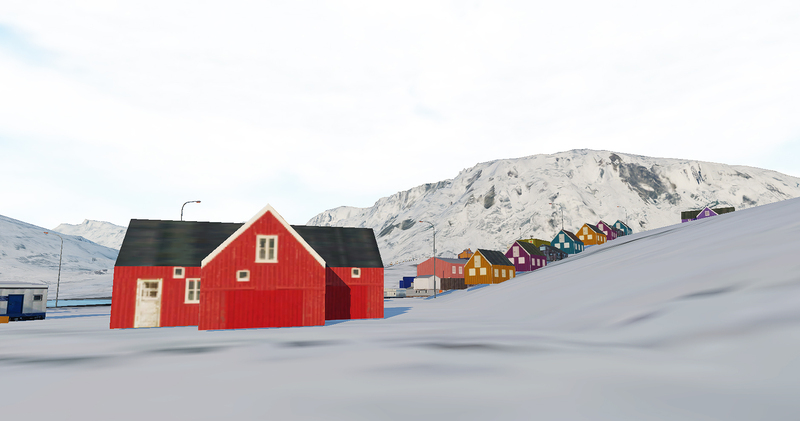 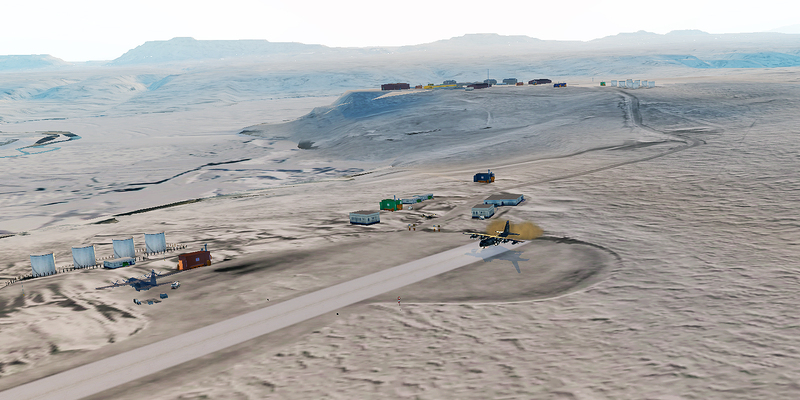 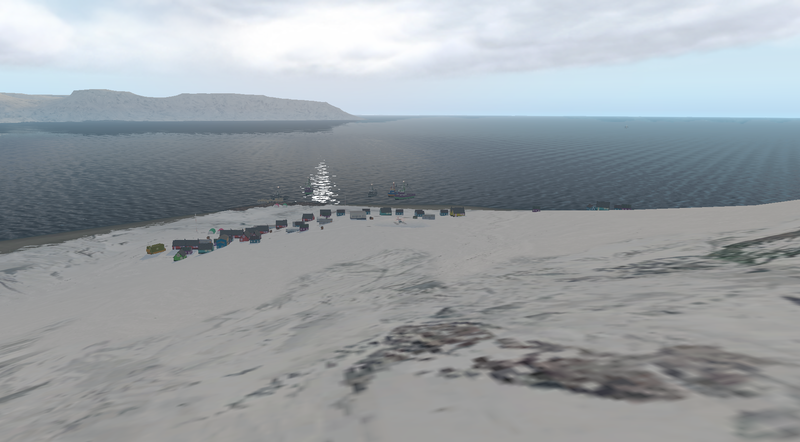 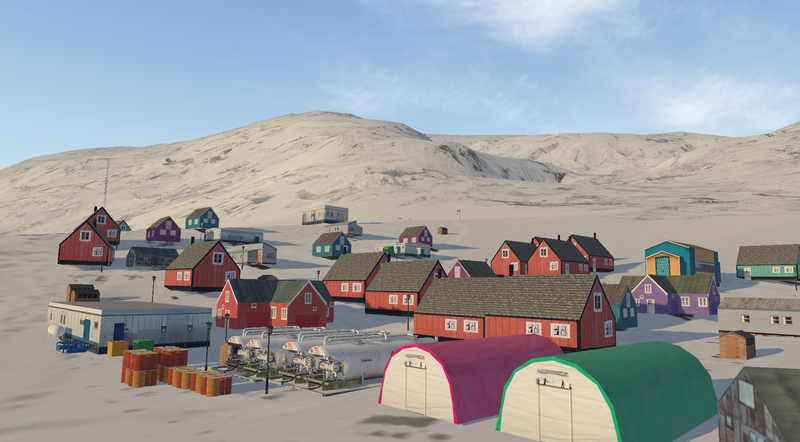 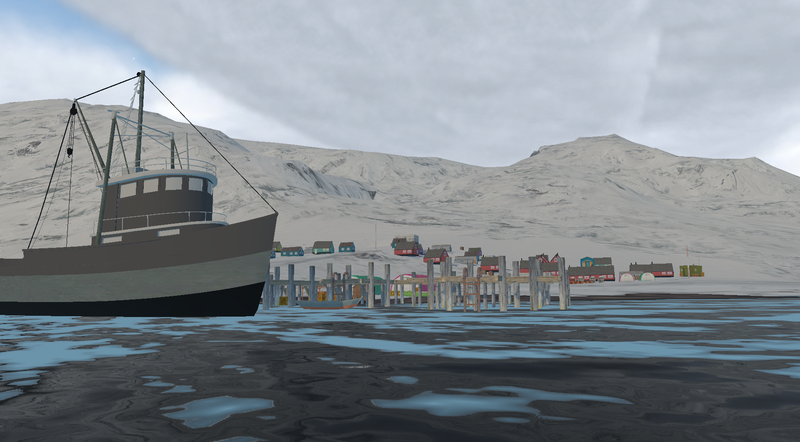 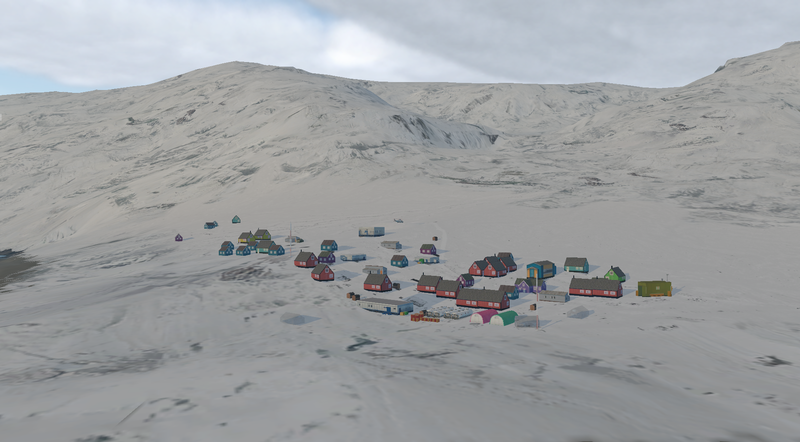 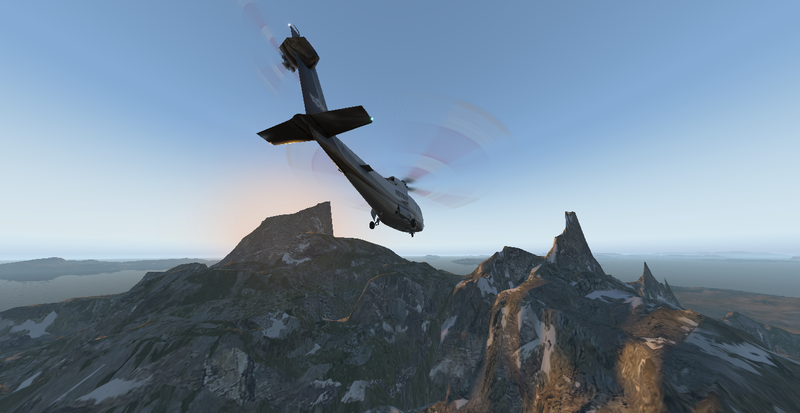 This package does not use a third-party object library, restricting the little use of default X-Plane objects and more than 90% of specially created objects based on geographically-searched objects in all areas of North Canada Greenland North. 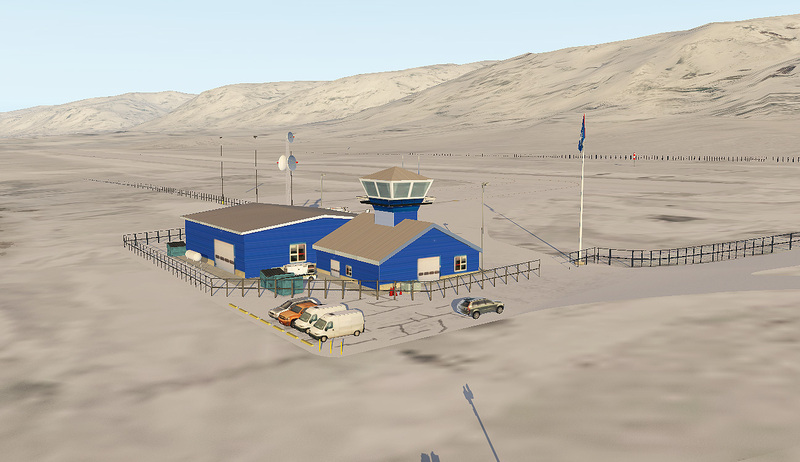 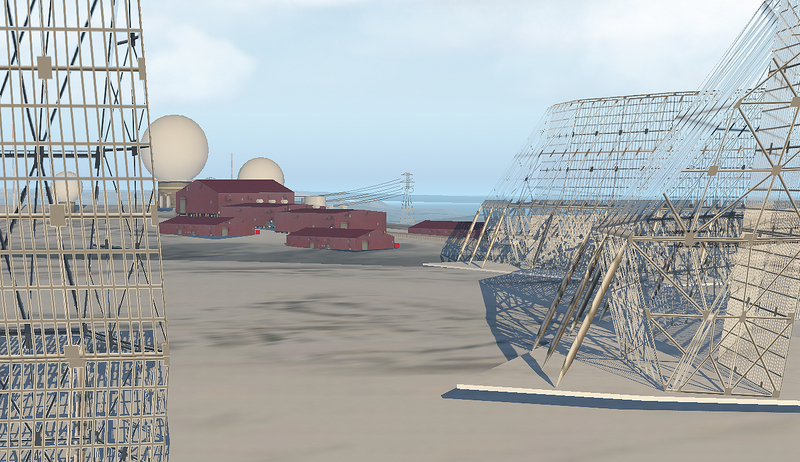 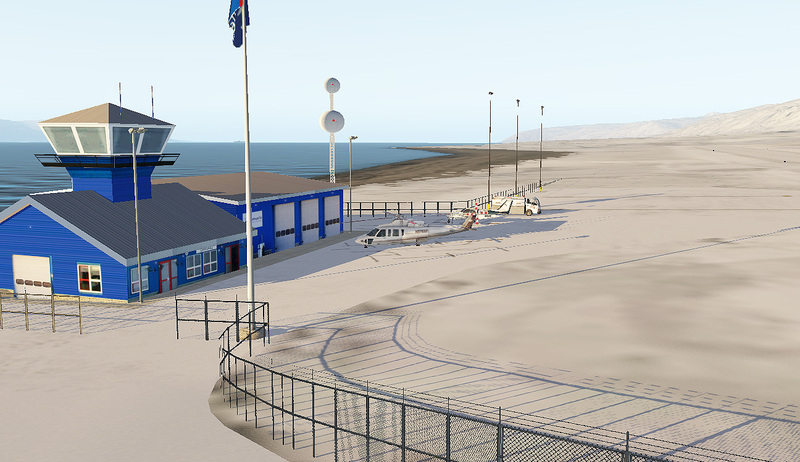 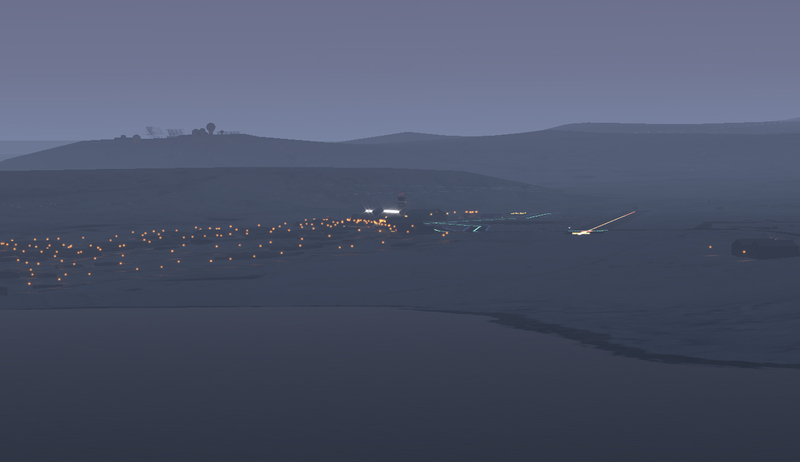 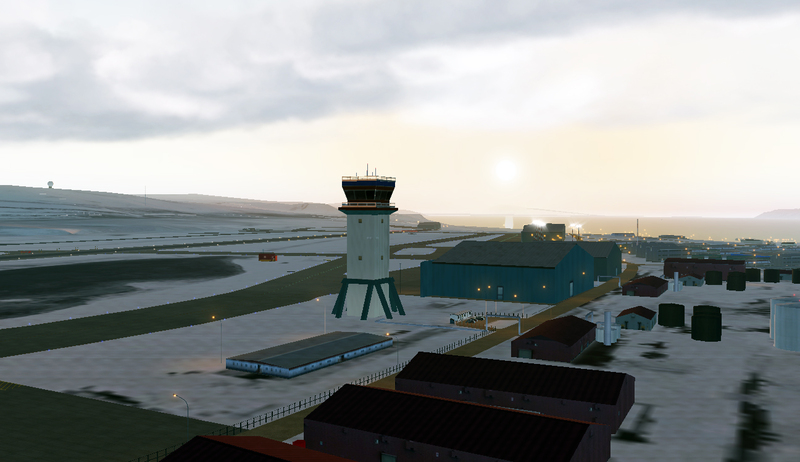 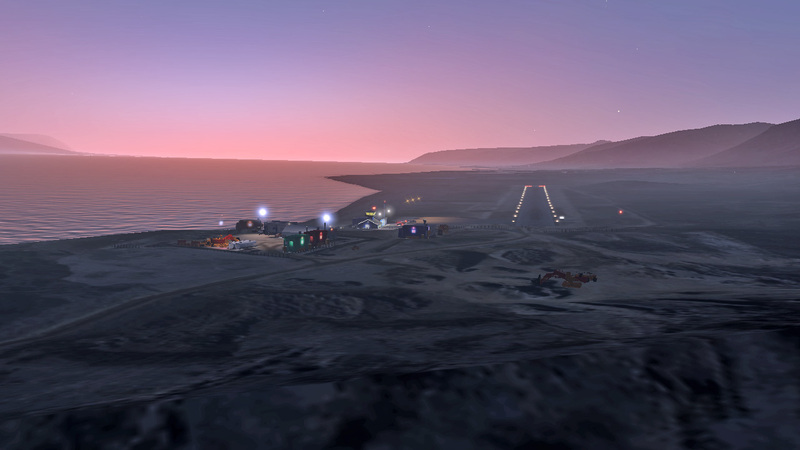 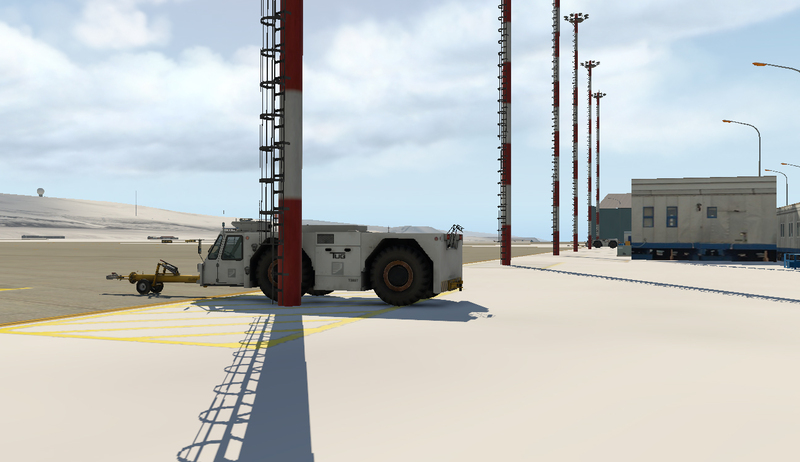 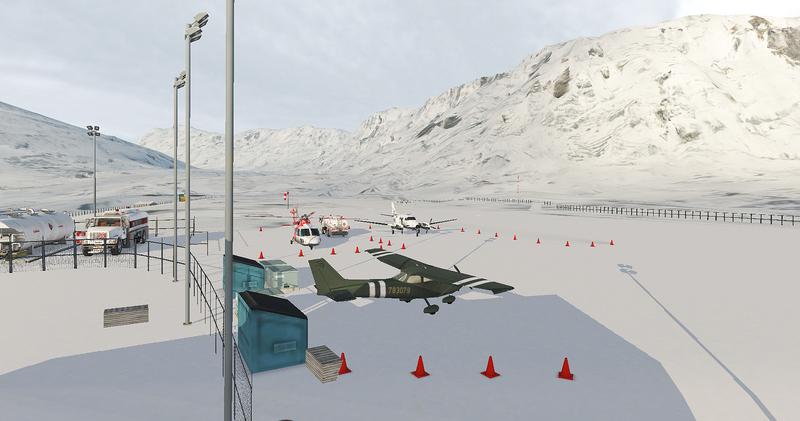 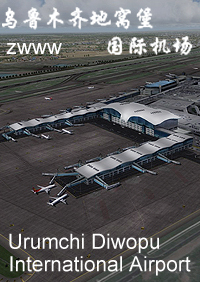 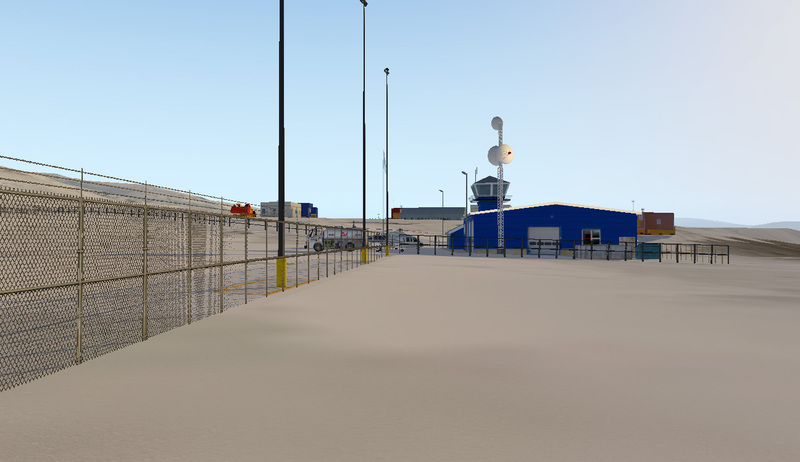 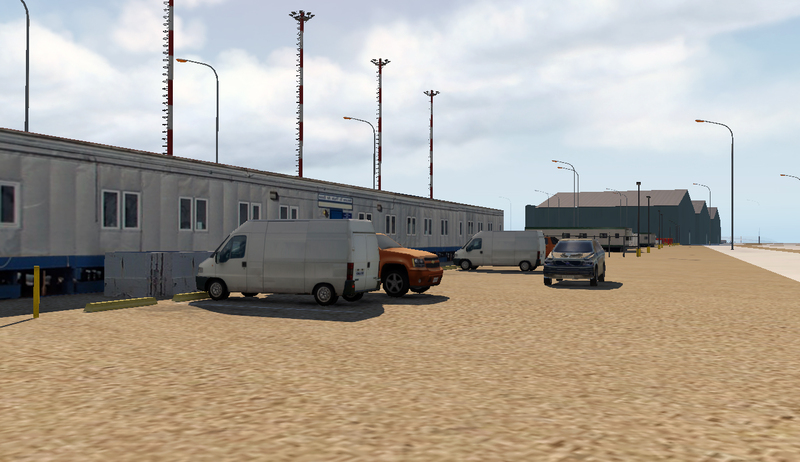 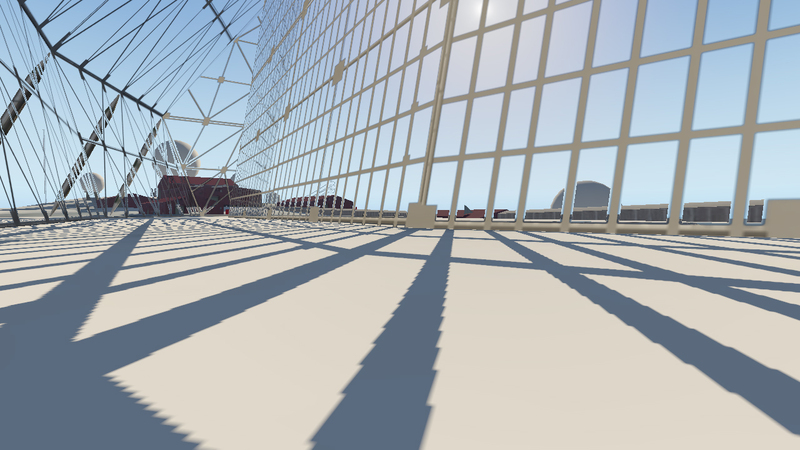 Updated in version 2 Mesh and airport altitude fixed; 16 airports and HLPN added Airports and HLPN bases – detailing are ongoing. 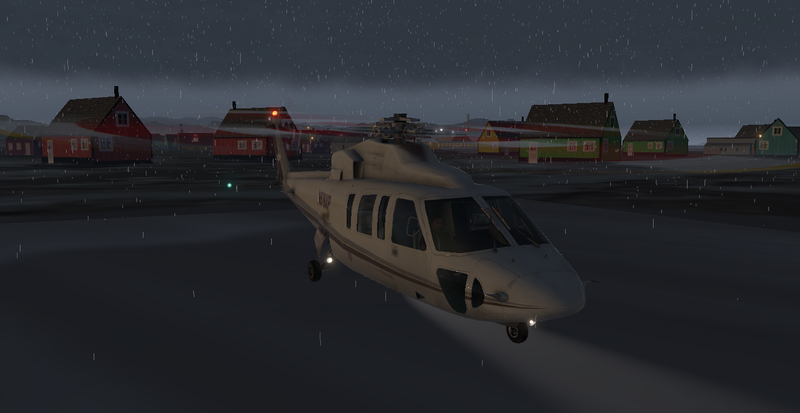 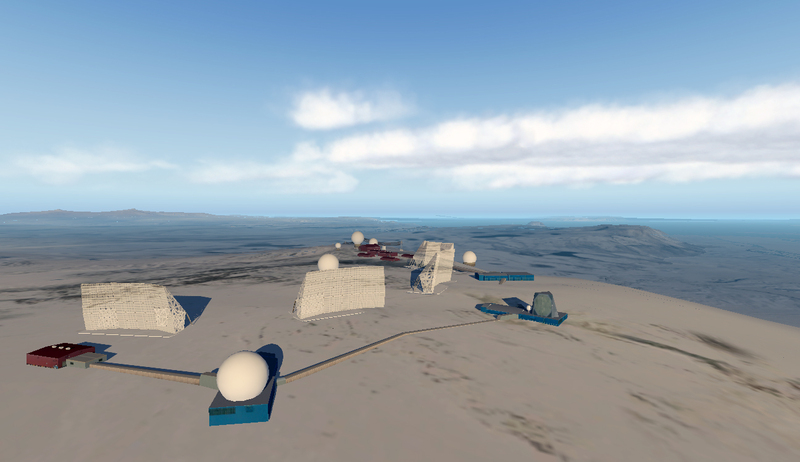 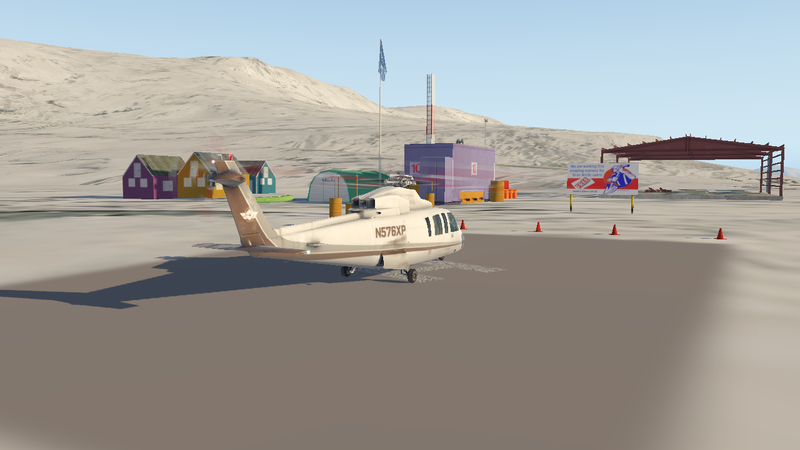 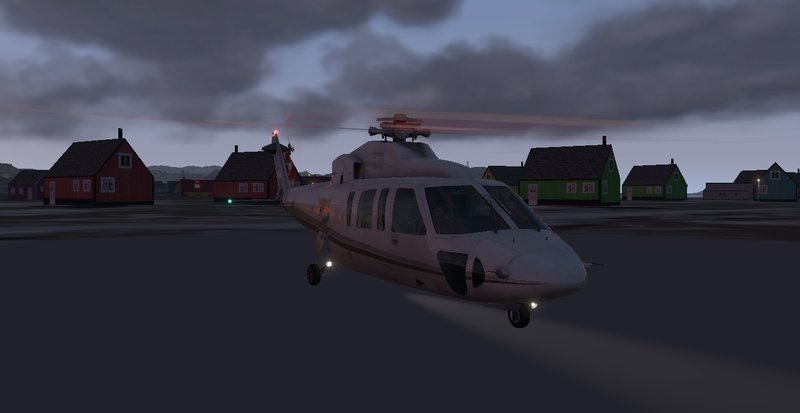 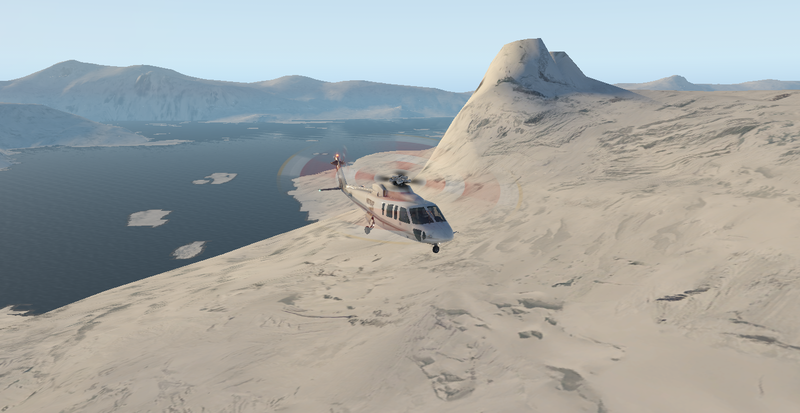 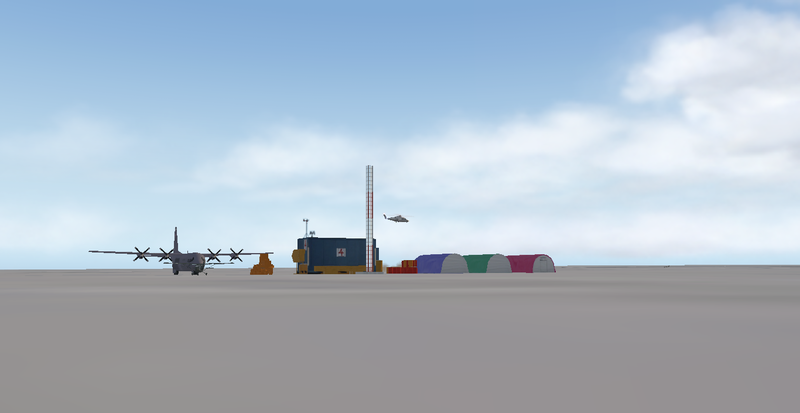 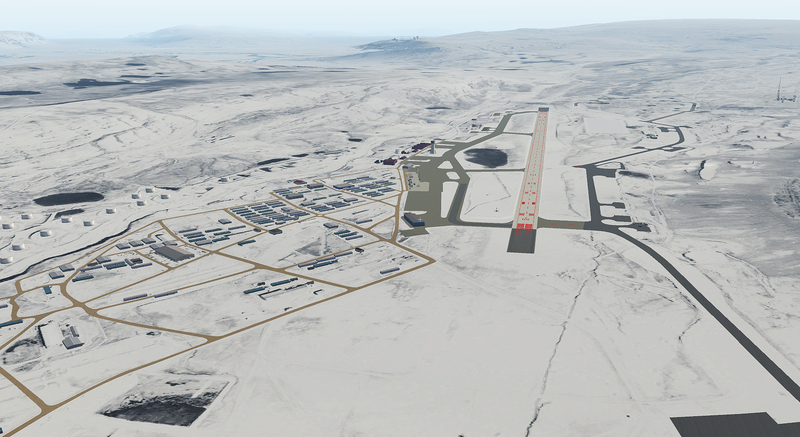 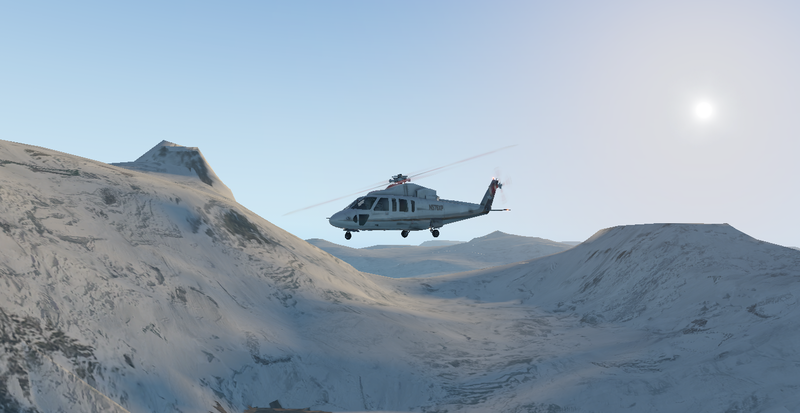 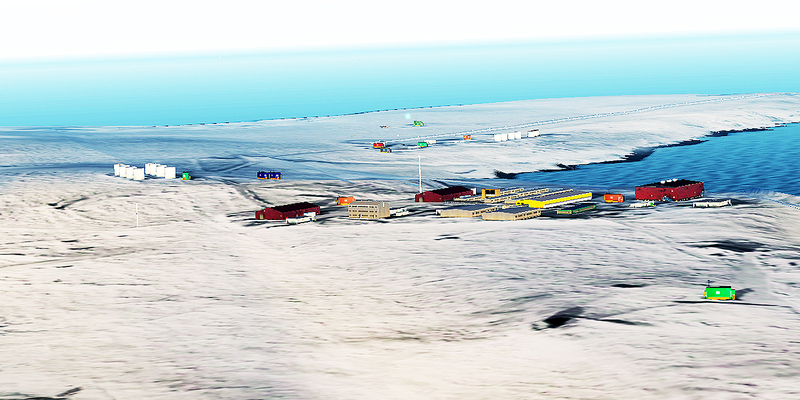 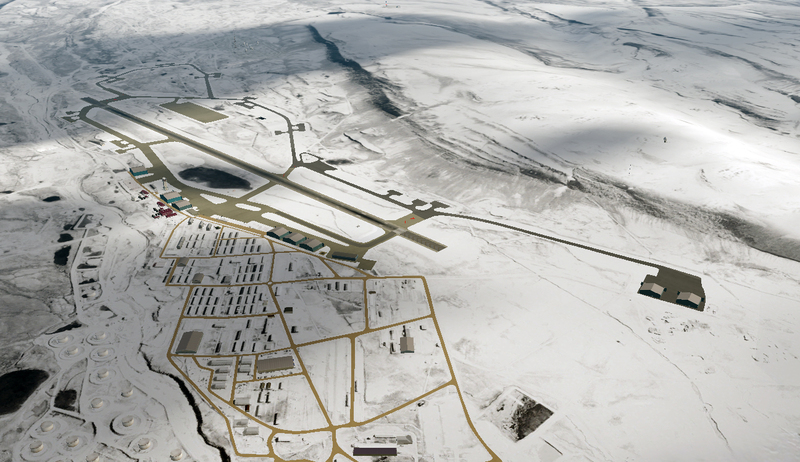 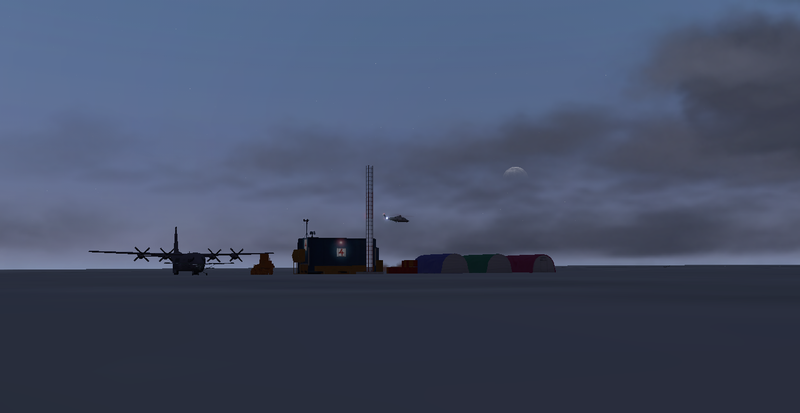 In version 2 of the Gran Arctic scenery 7 heliports and 3 airports (base only) were added on the east coast of Greenland, fundamental support for the pilot who plans his route in the frozen continent. 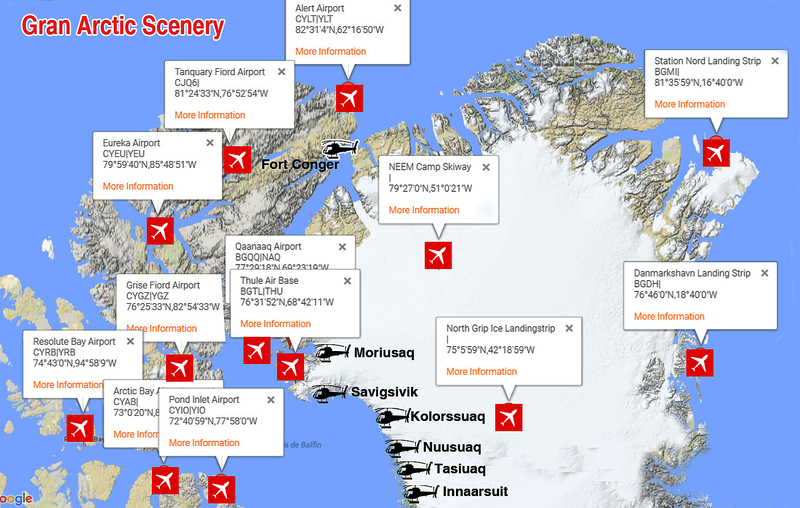 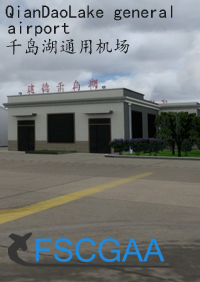 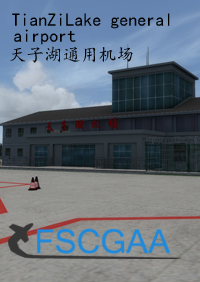 Also added in Canada were 7 more airports and 1 heliport (base only). 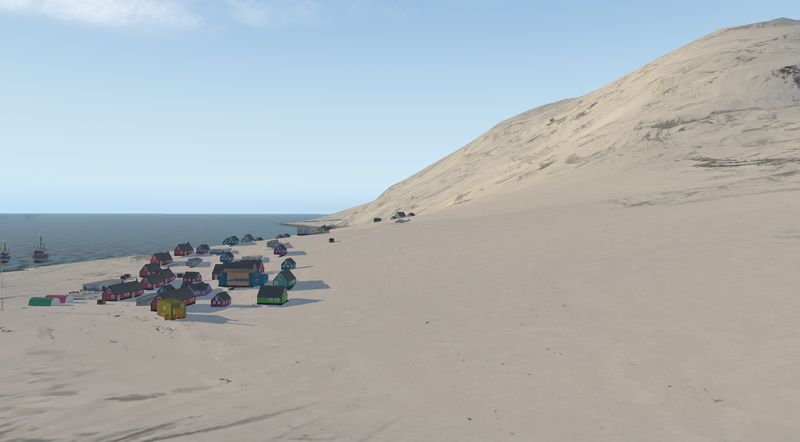  Emphasizing that these additions are initial improvements. 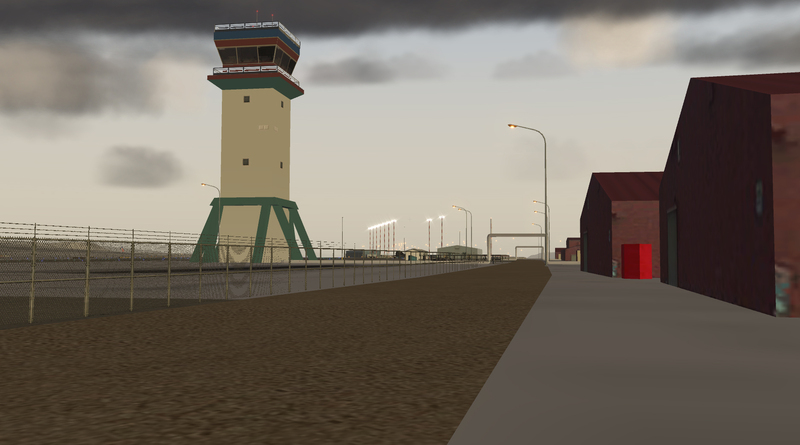 The airports will be detailed on the near future in their graphs and later they will be able to be downloaded free of charge by the users of previous versions. 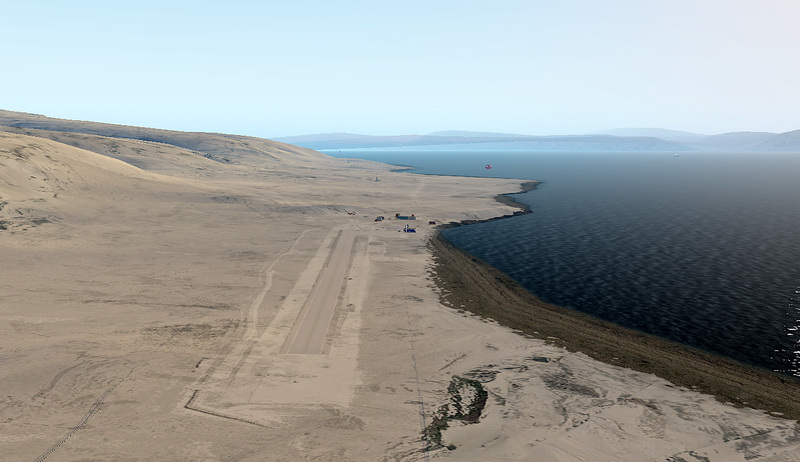 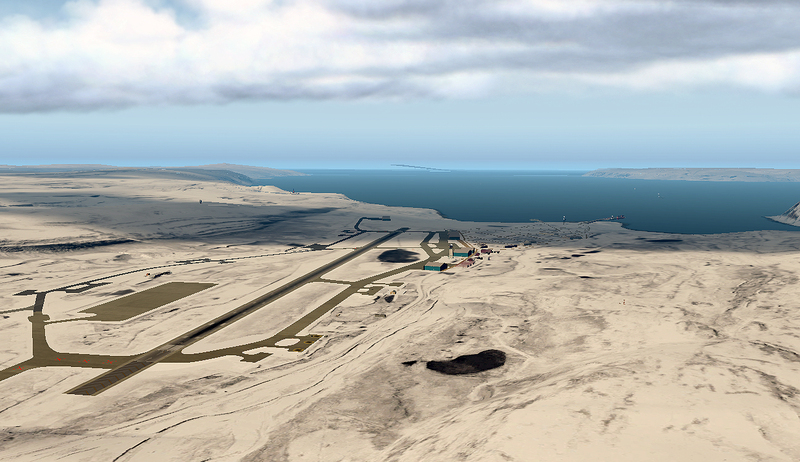 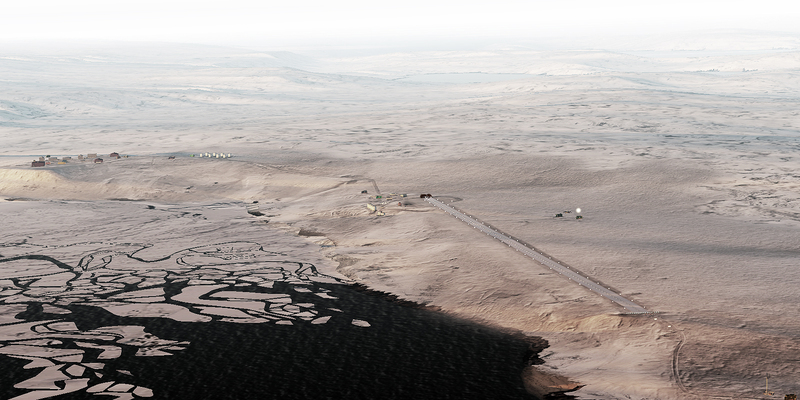 All runway and heliport location had the altitude fixed in digital elevation mode. 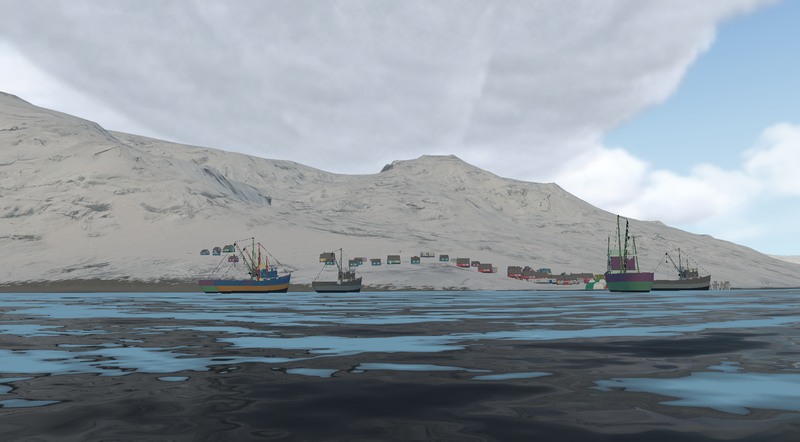 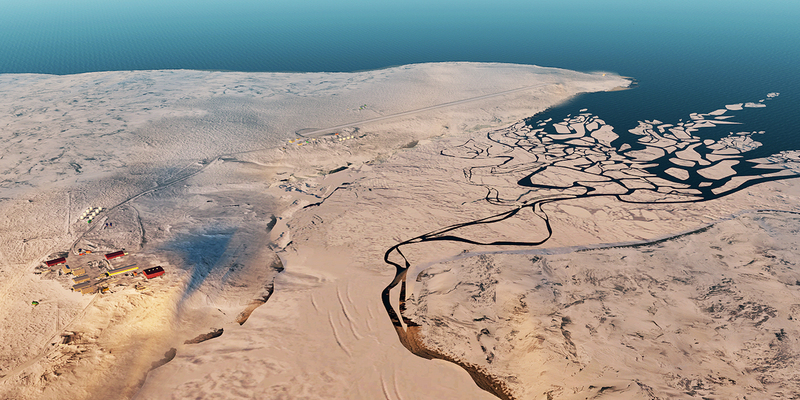 The Grand Arctic scenery will be constantly update. 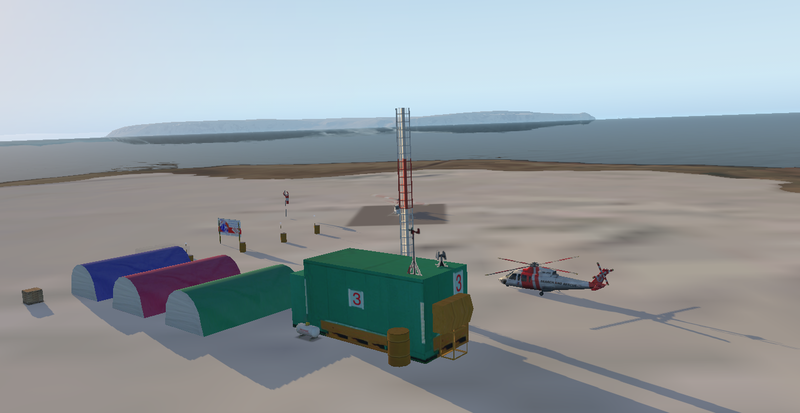 In the locations where the bases have been plotted, the user can operate normally, and while the scenario is not available for download, a warning can be seen in the localities. 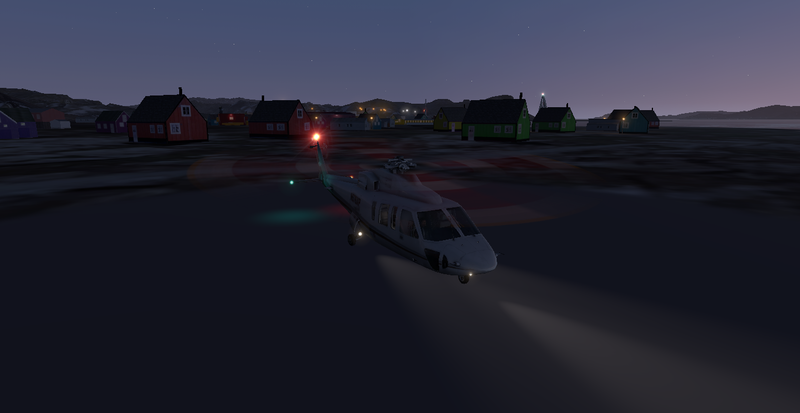 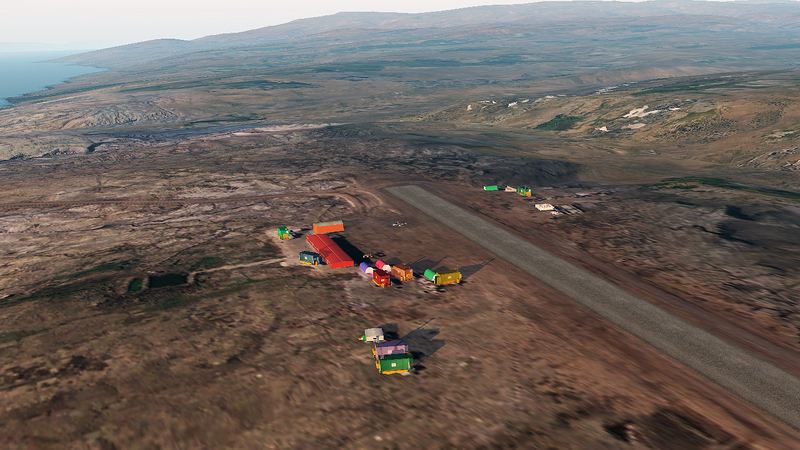 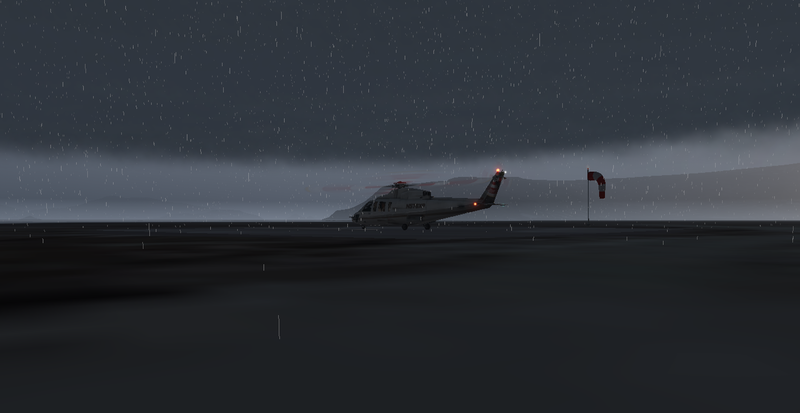 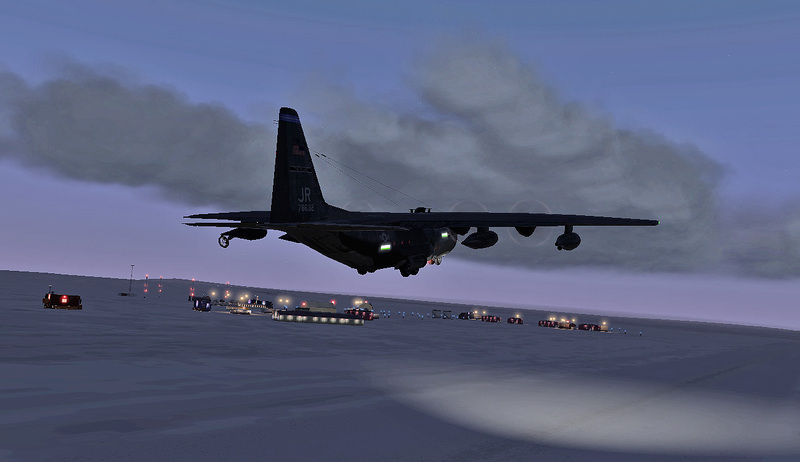 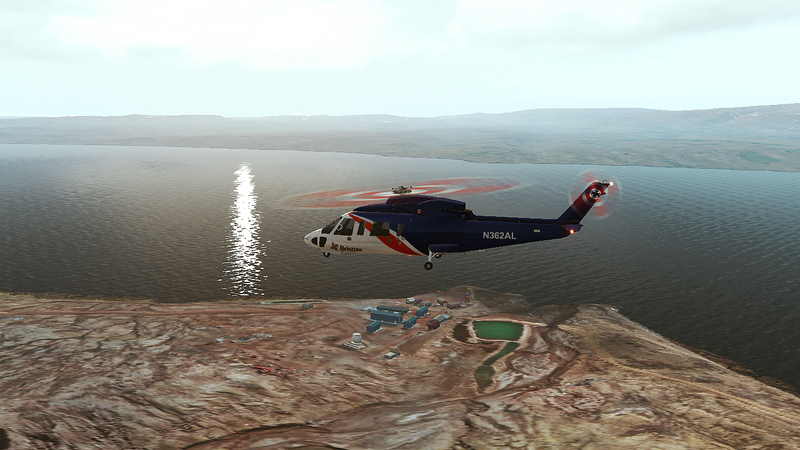 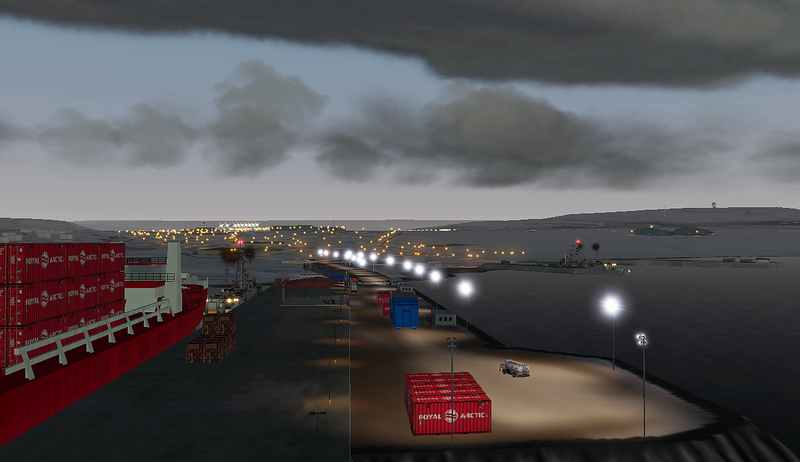 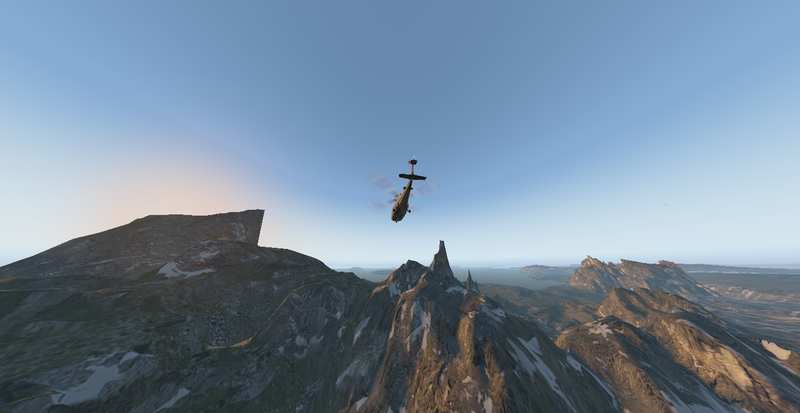 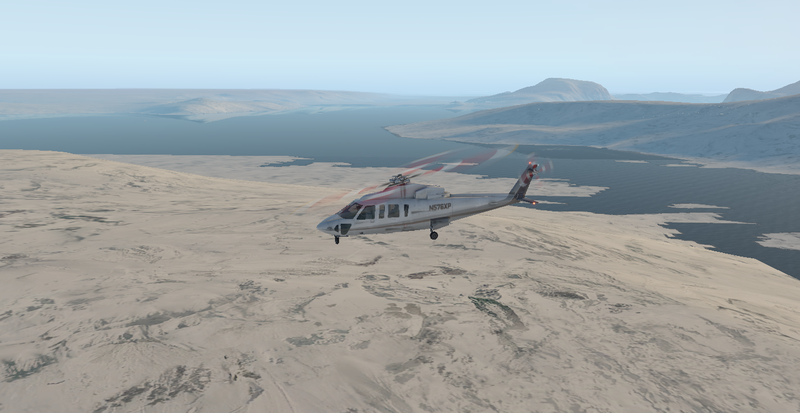 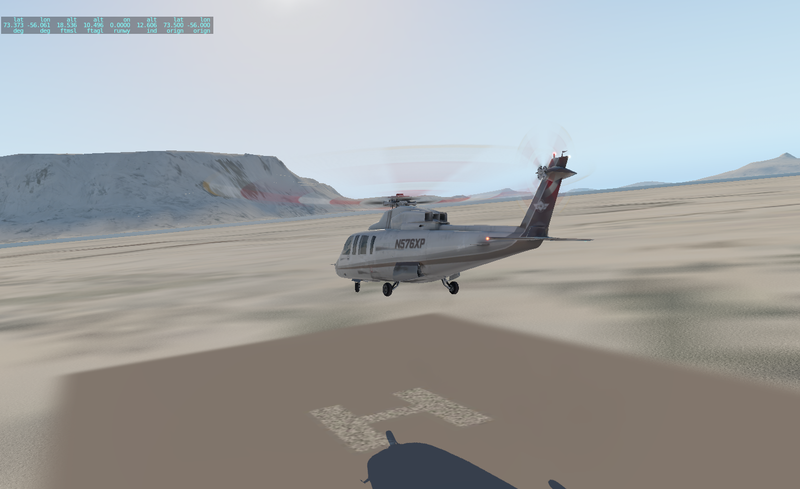 HSimulators has developed this scenario in sufficient detail to give more realism to approach, departure and reconnaissance flights. 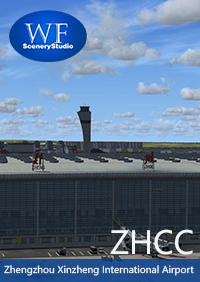 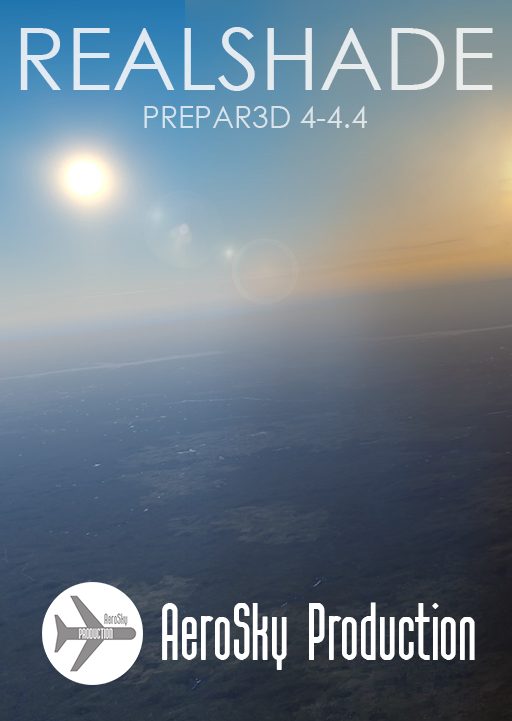 It should be noted that the scenario developer pays attention only to the flight's perceived details, which are essential requirements. 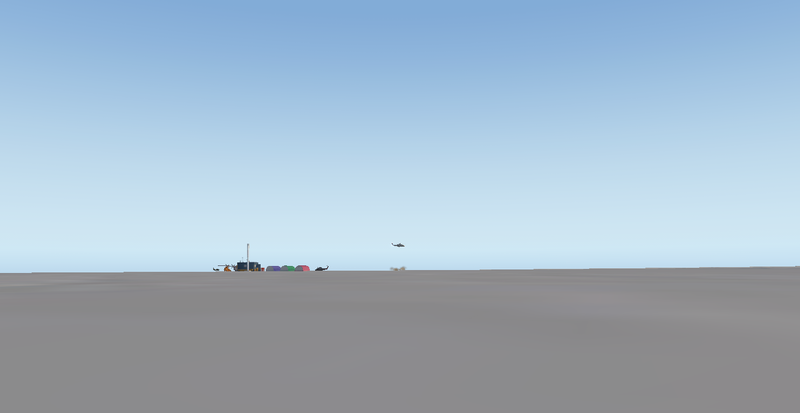 So, if you expect to see bins, tables, chairs, people and other small details unrelated to the flight itself, this is not the scene. 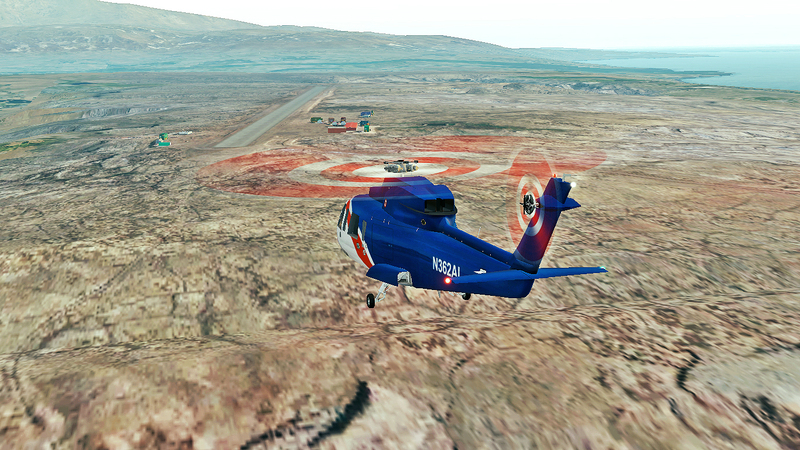 We develop scenarios for fly.